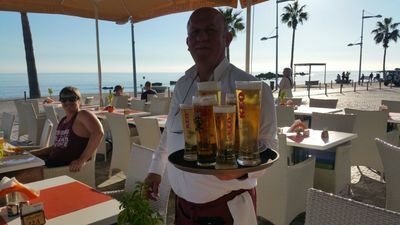 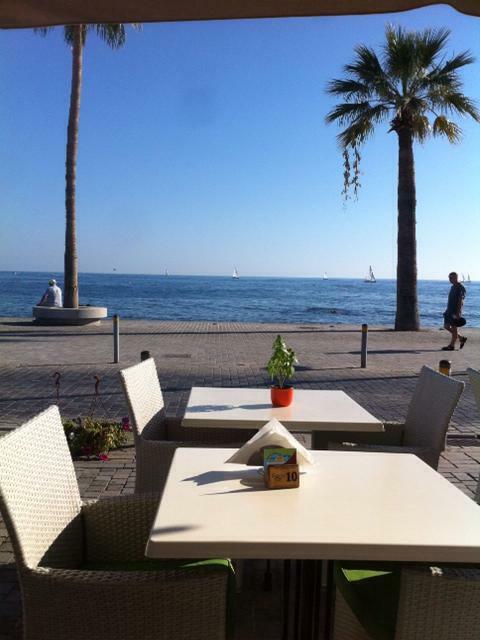 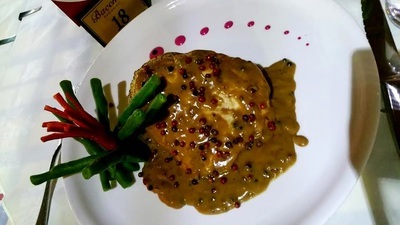 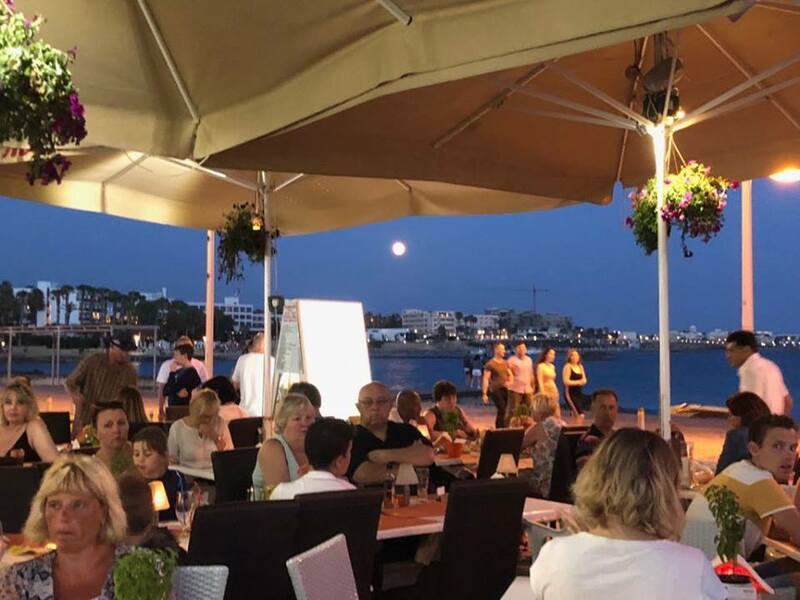 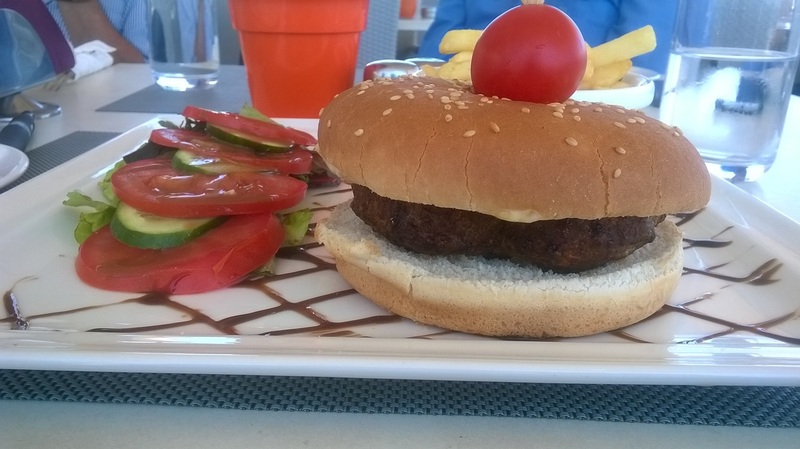 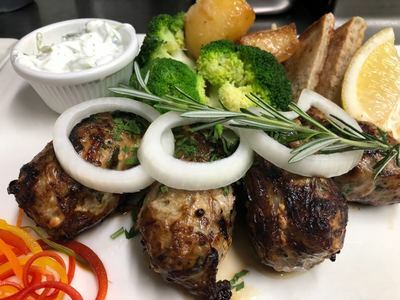 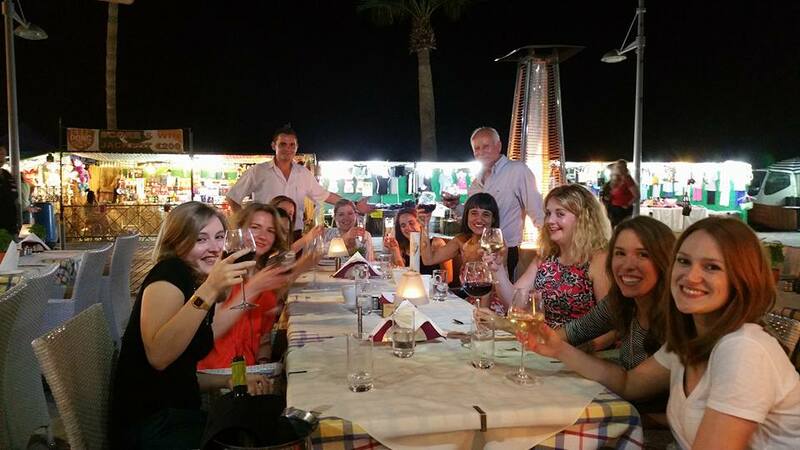 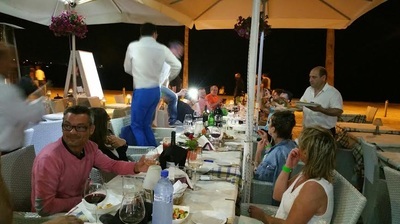 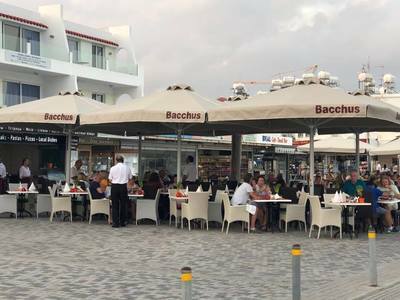 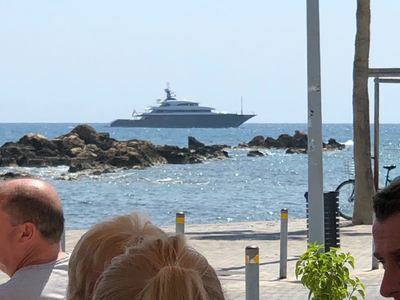 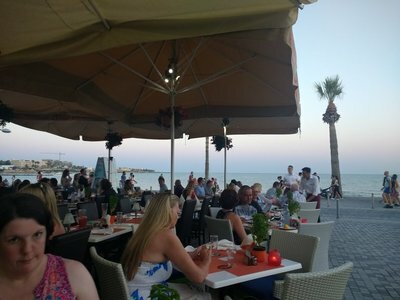 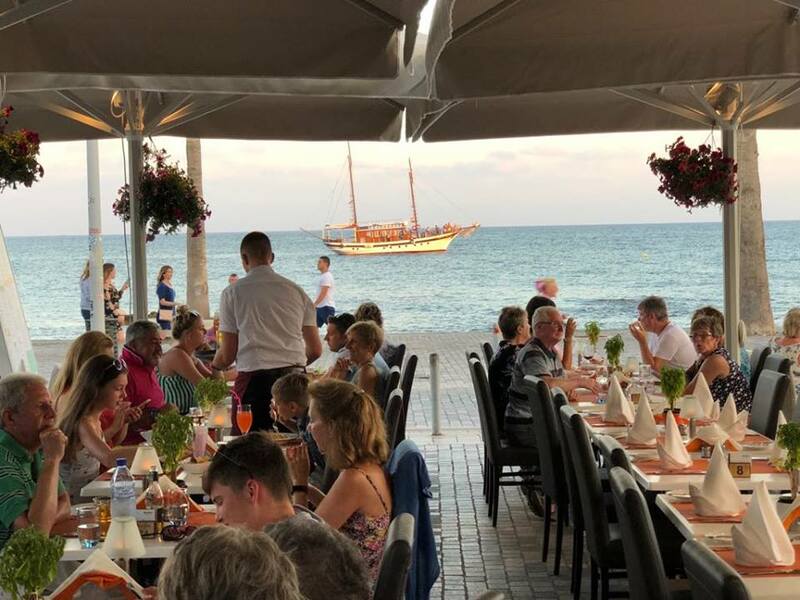 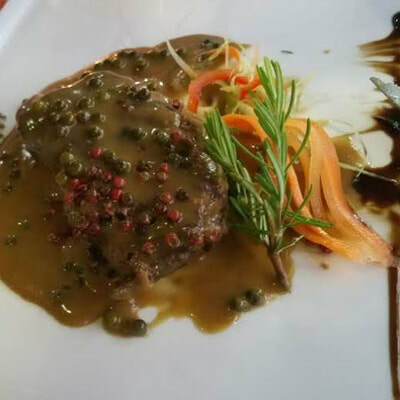 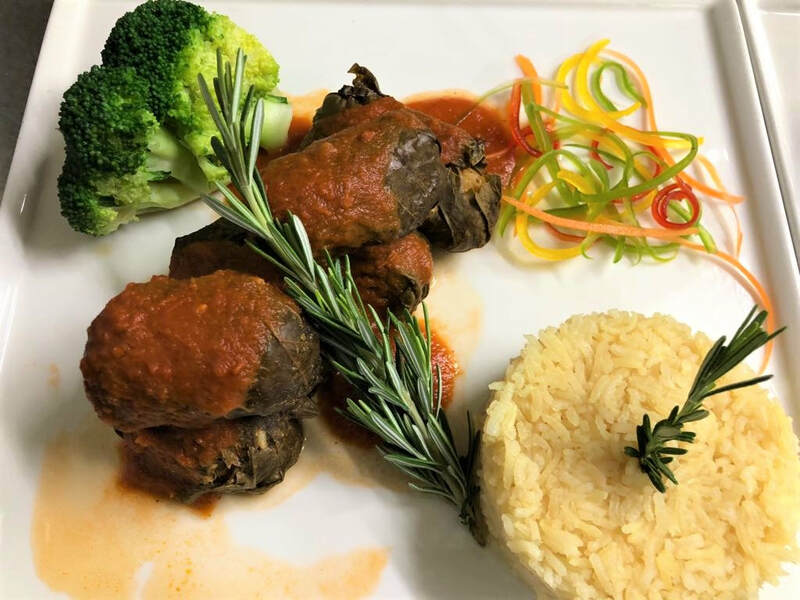 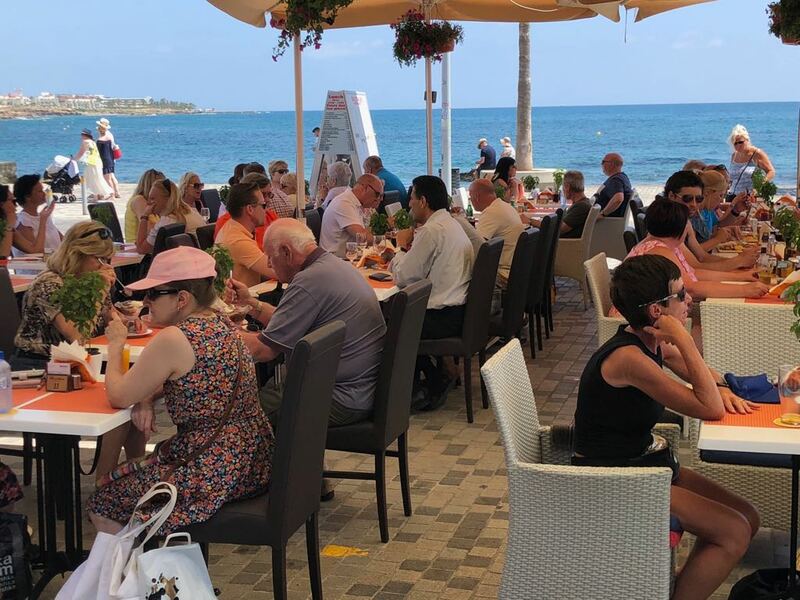 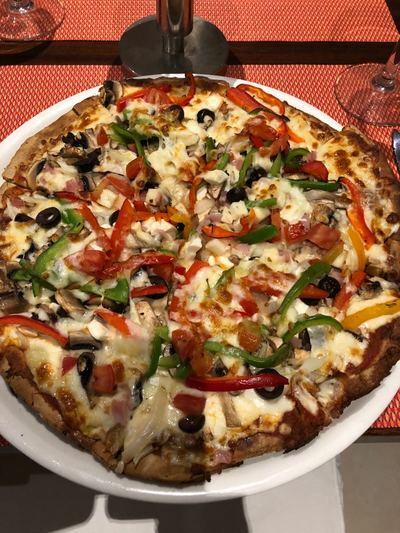 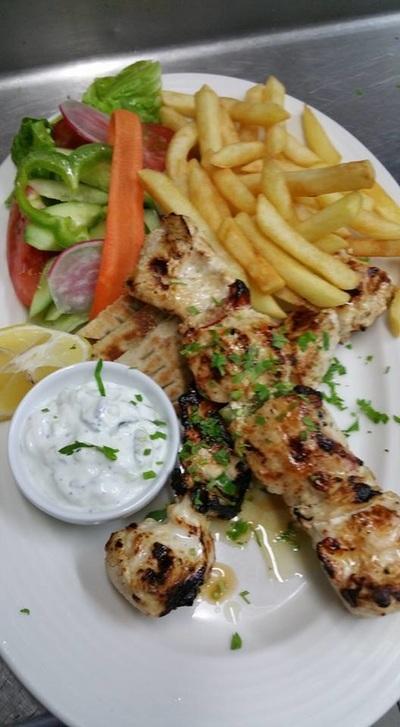 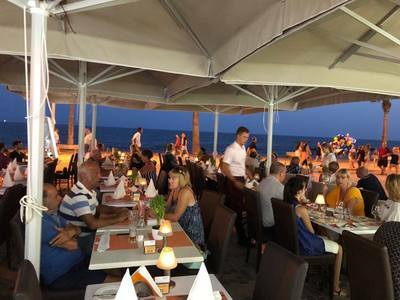 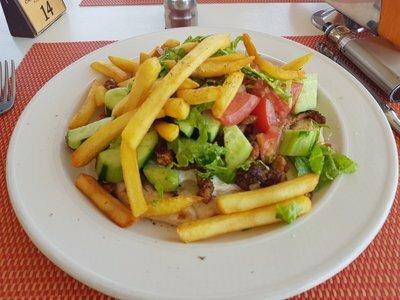 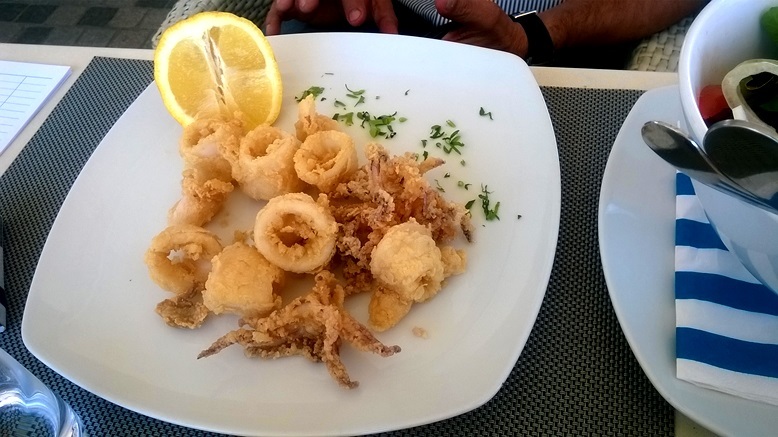 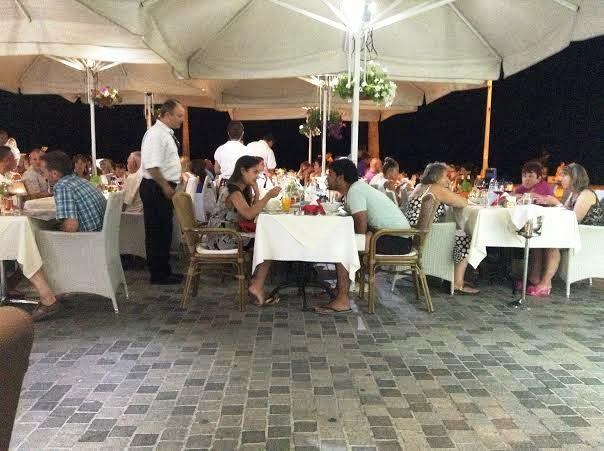 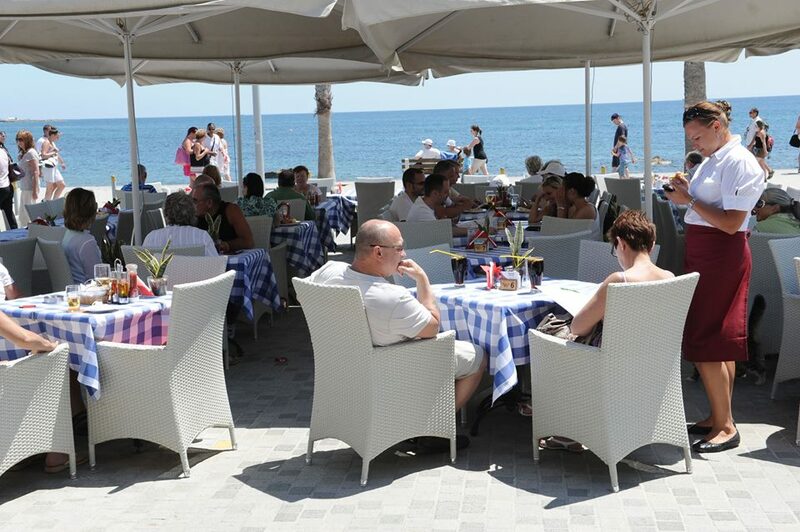 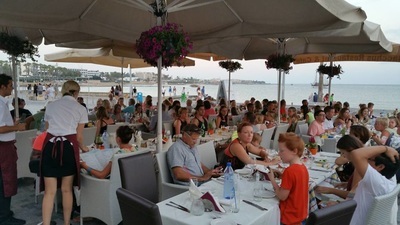 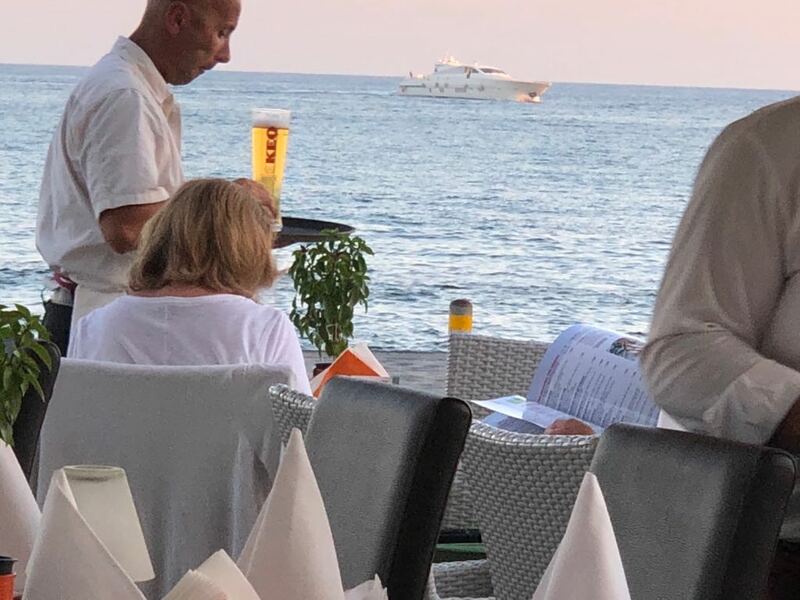 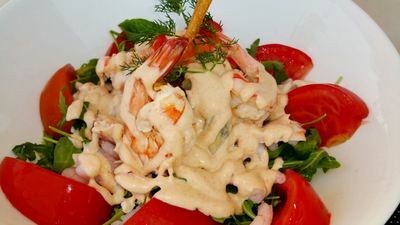 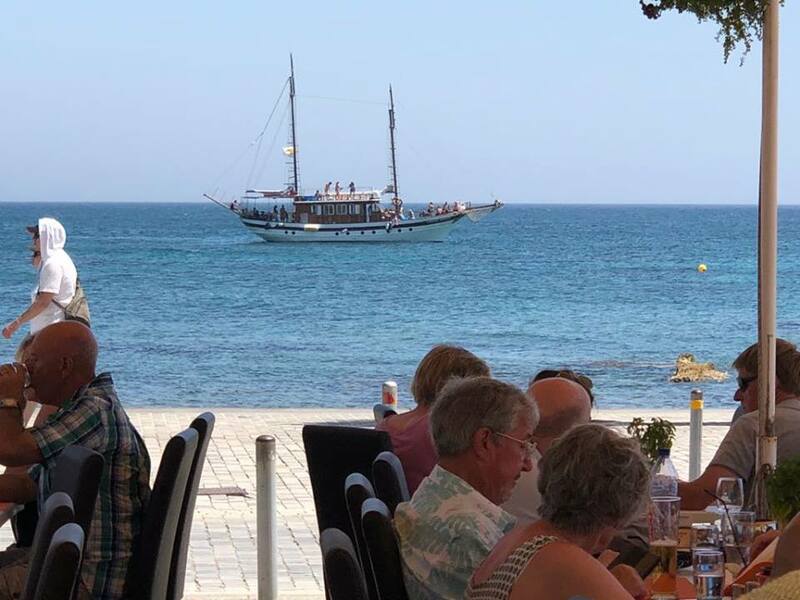 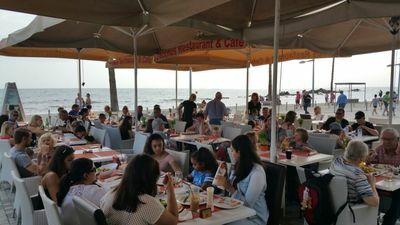 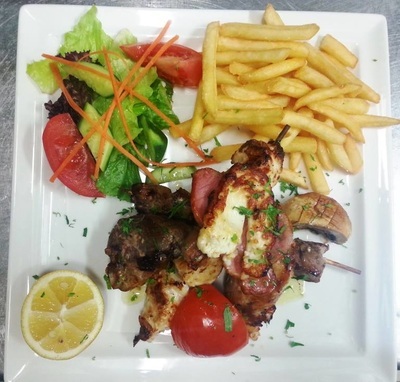 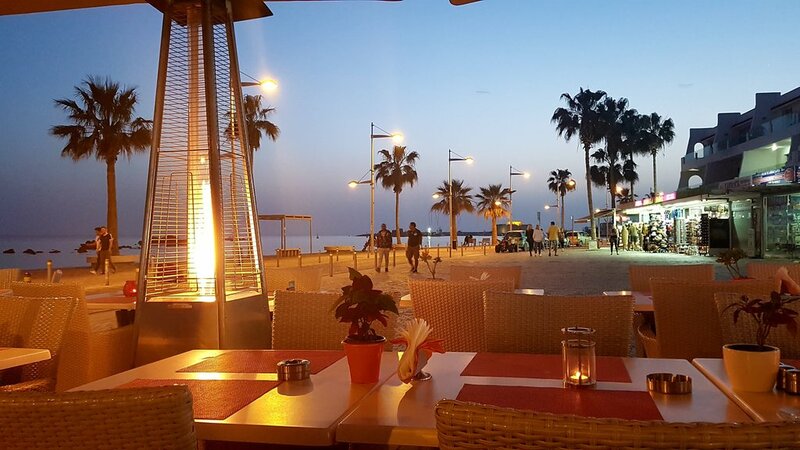 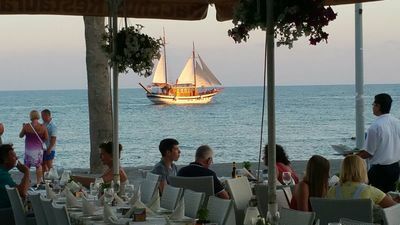 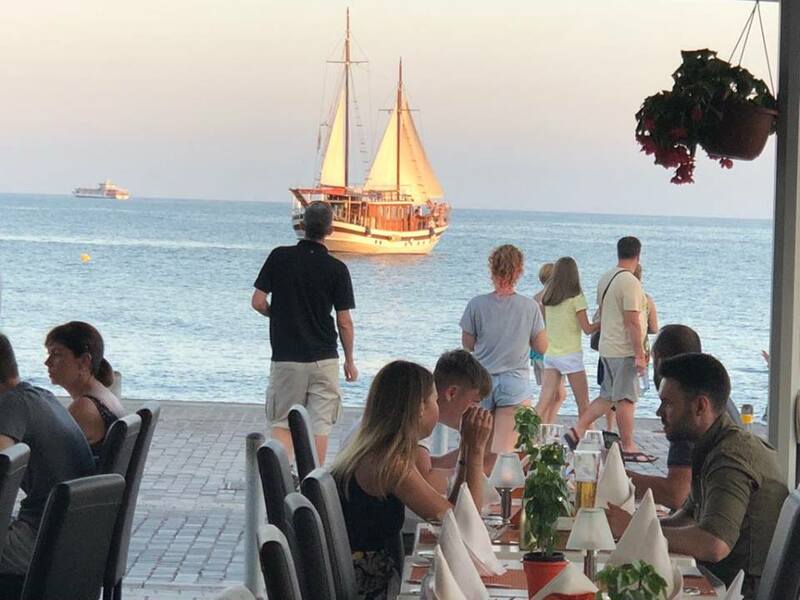 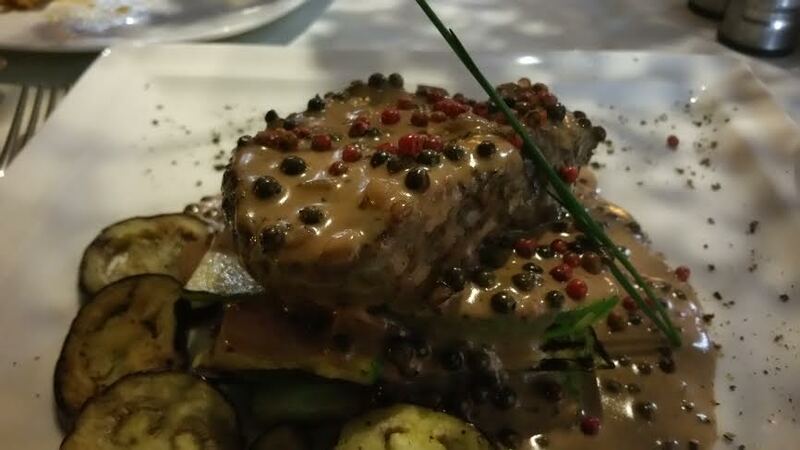 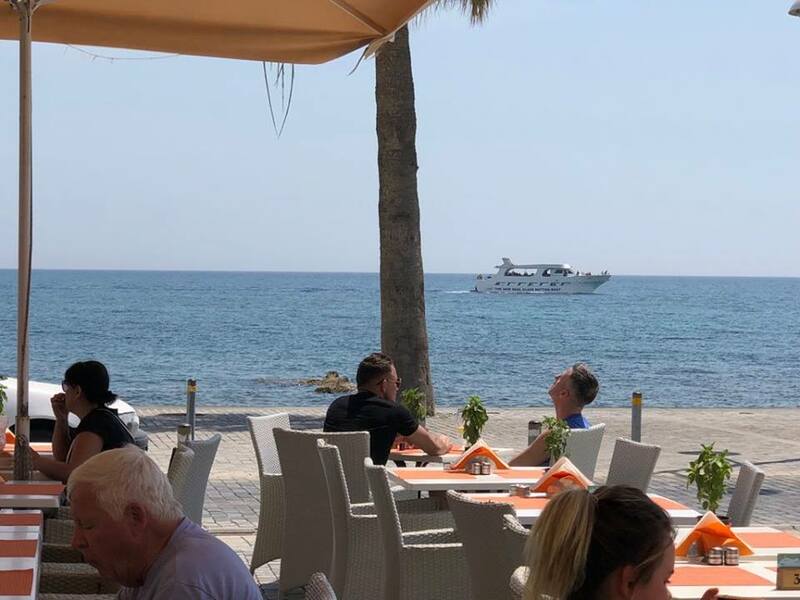 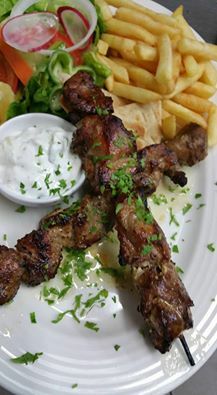 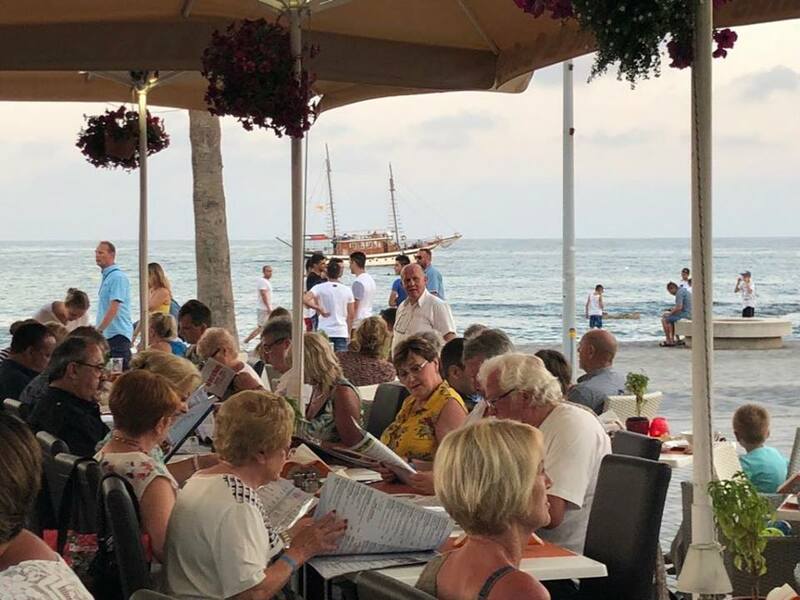 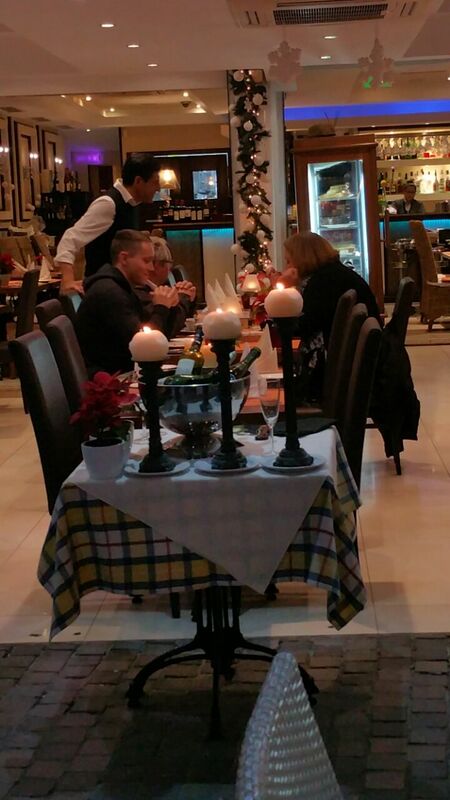 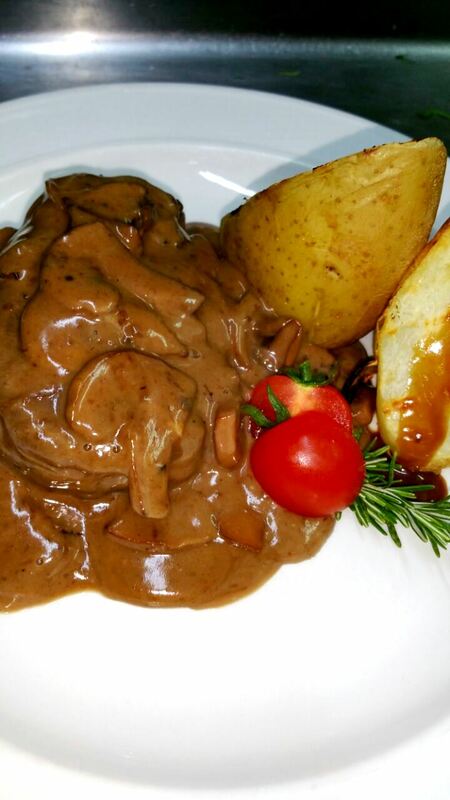 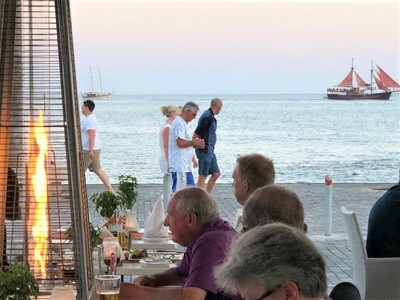 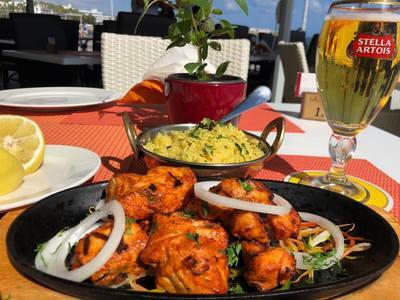 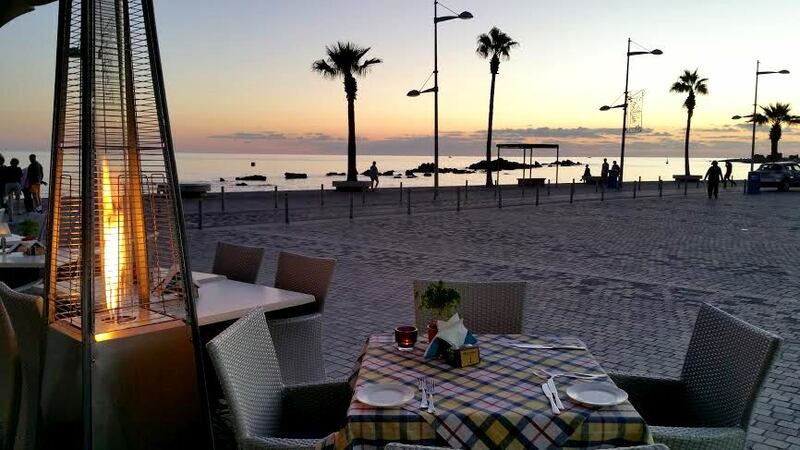 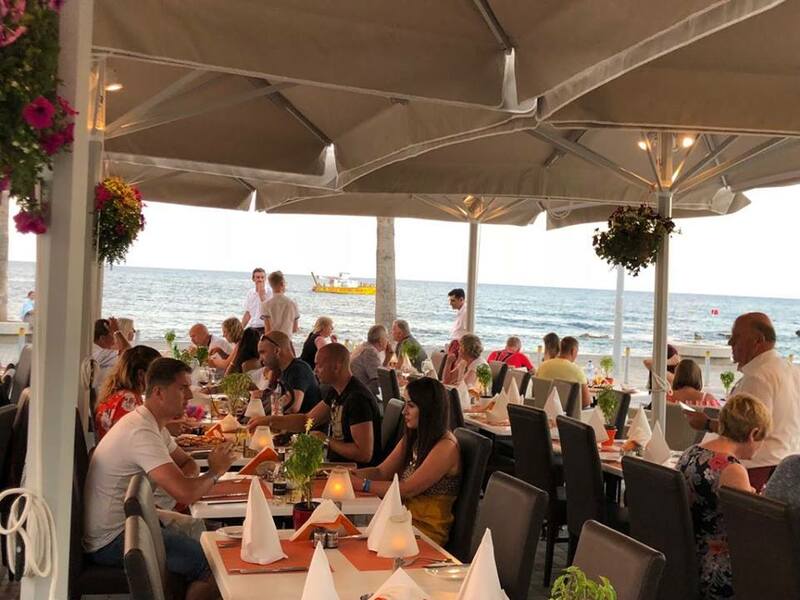 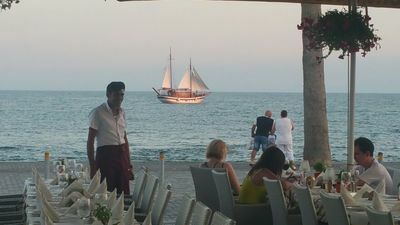 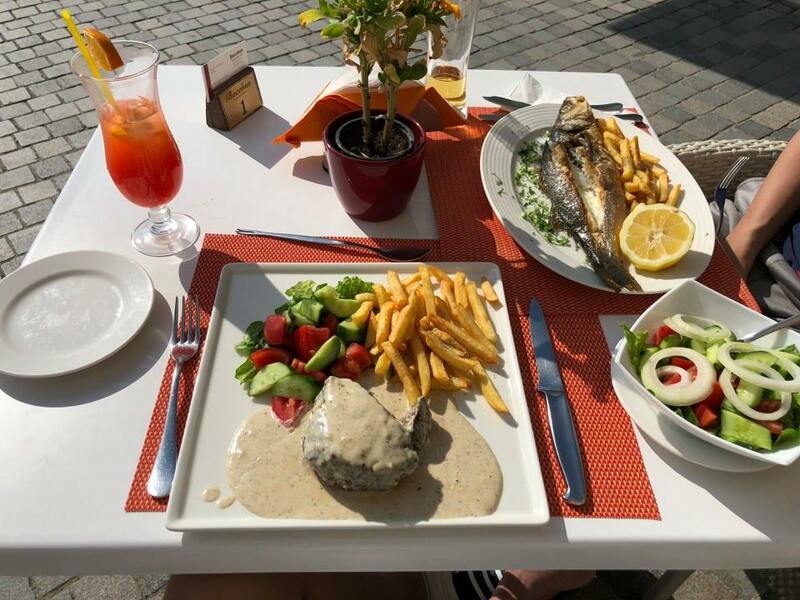 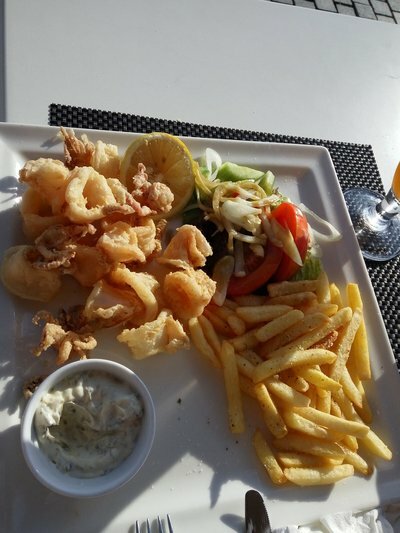 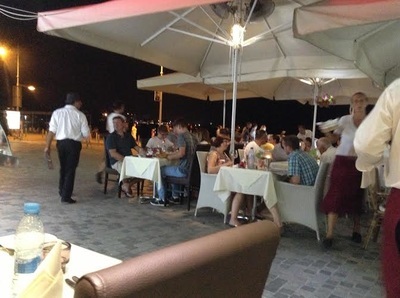 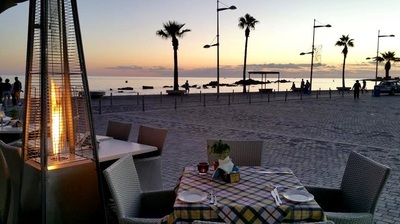 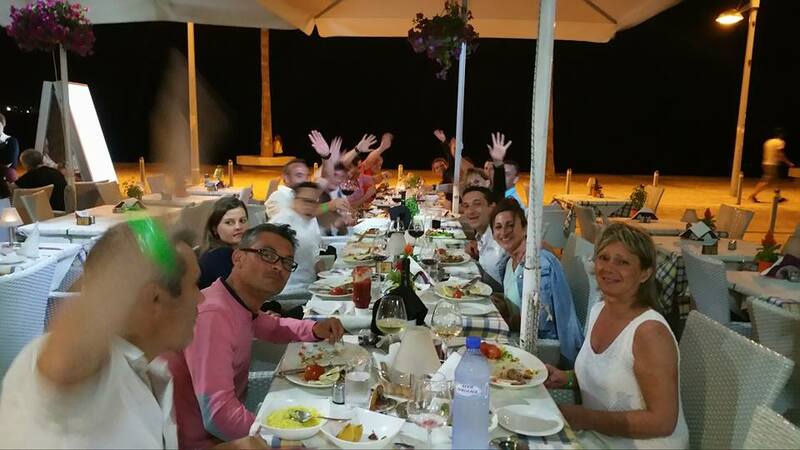 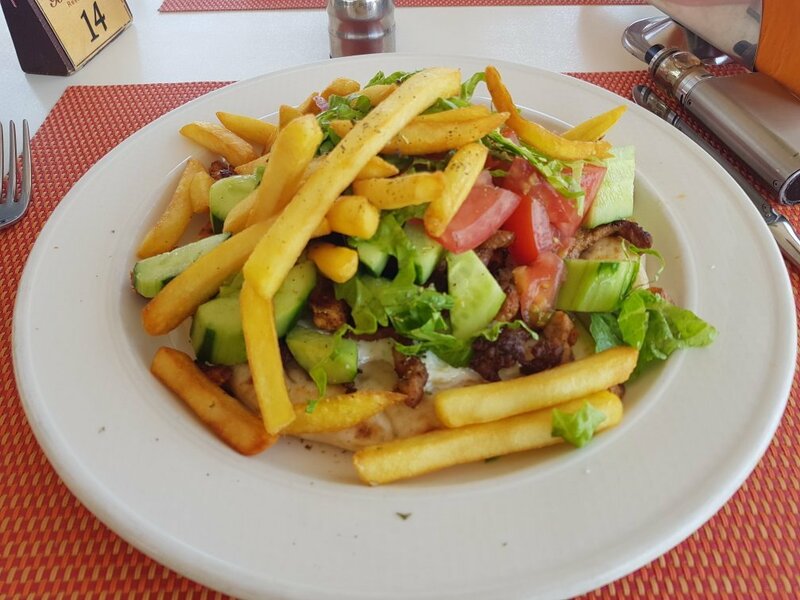 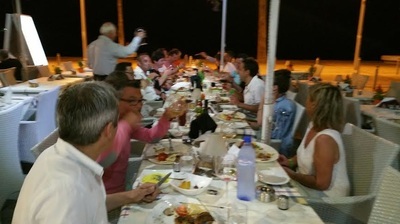 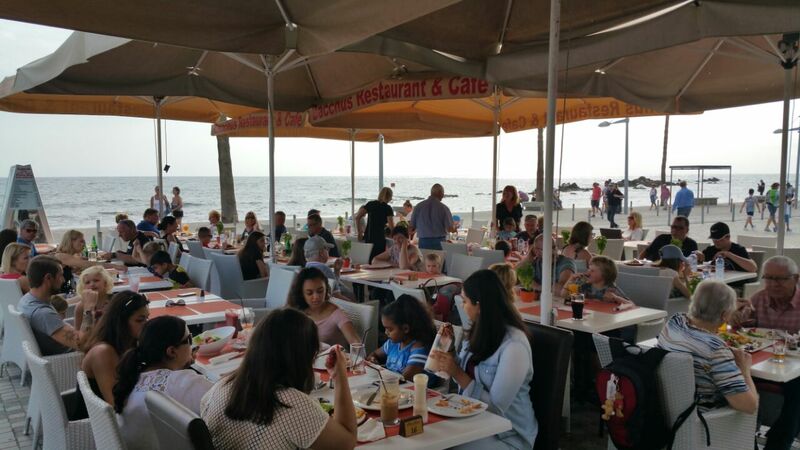 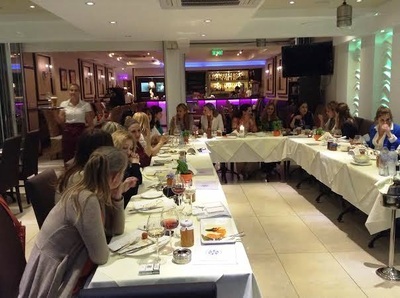 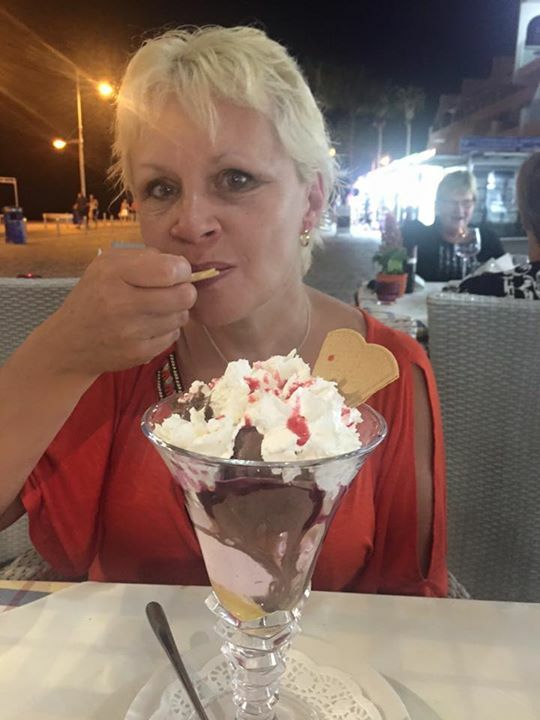 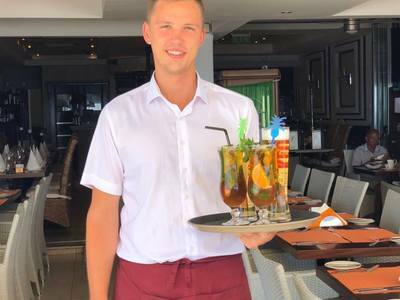 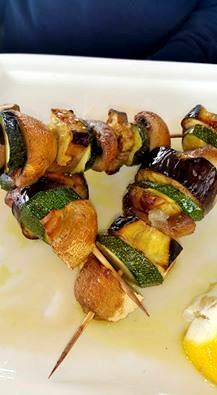 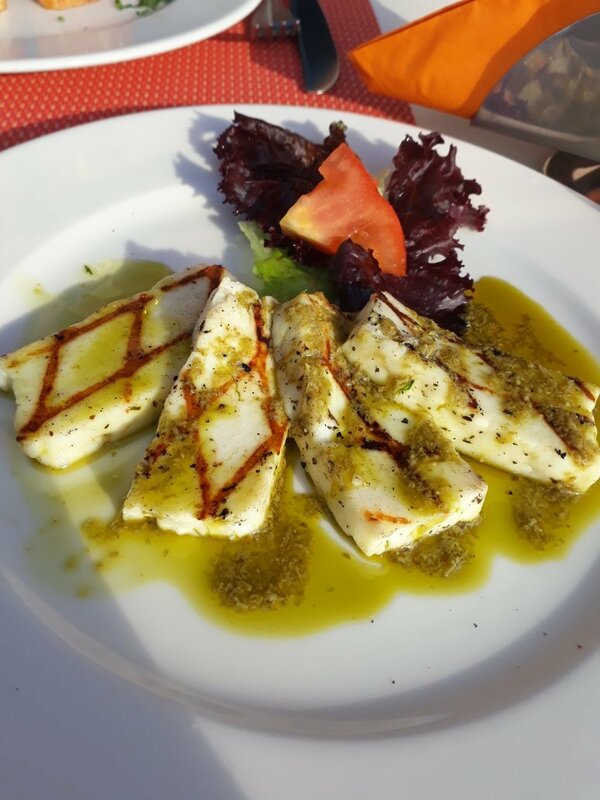 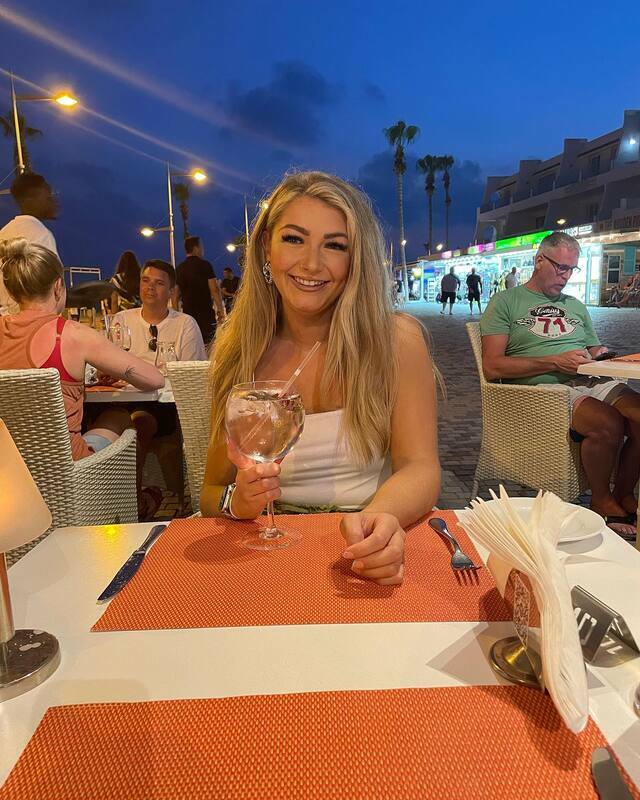 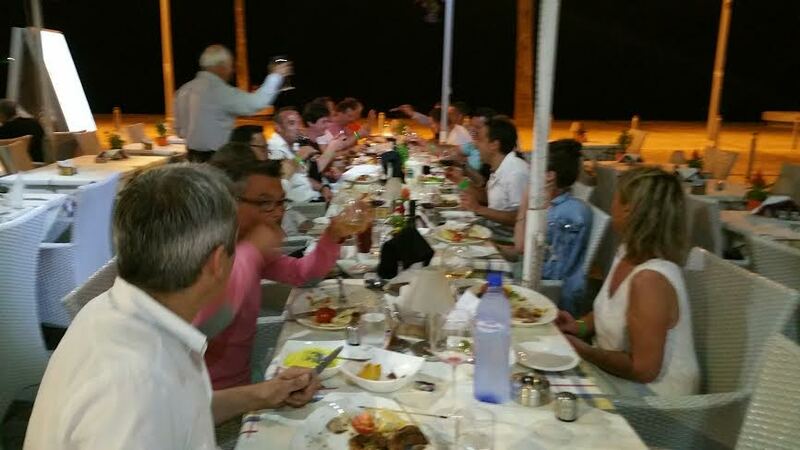 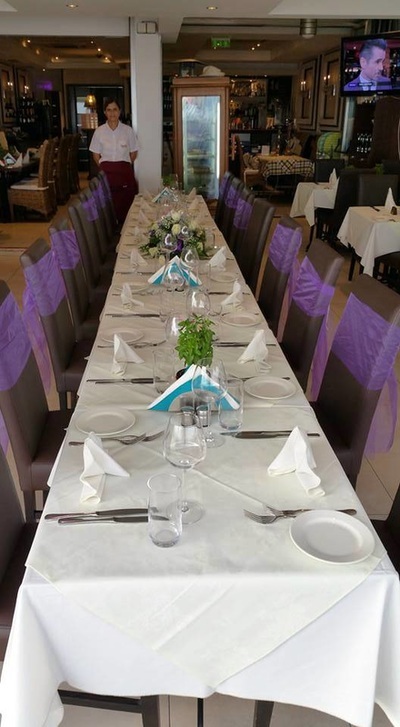 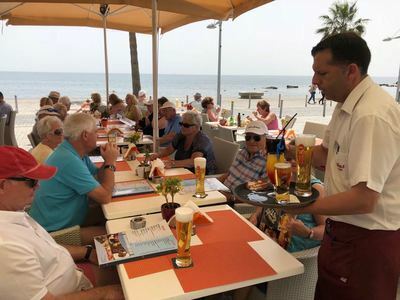 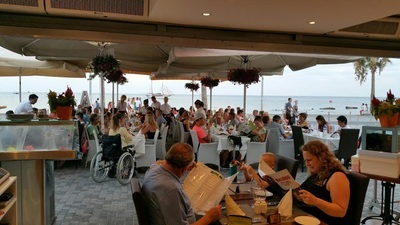 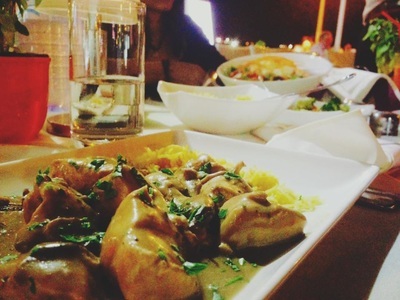 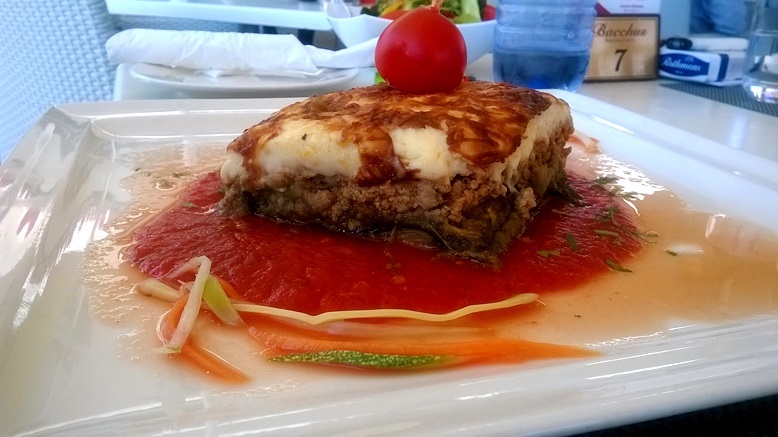 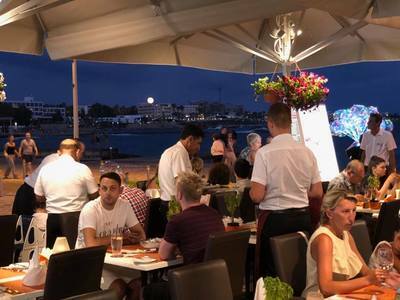 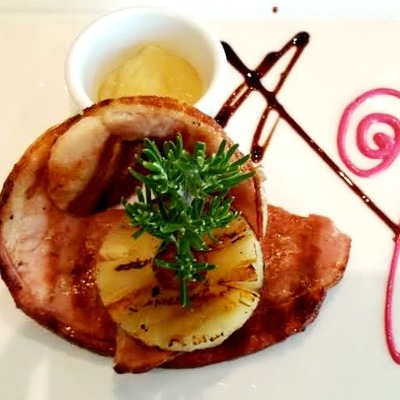 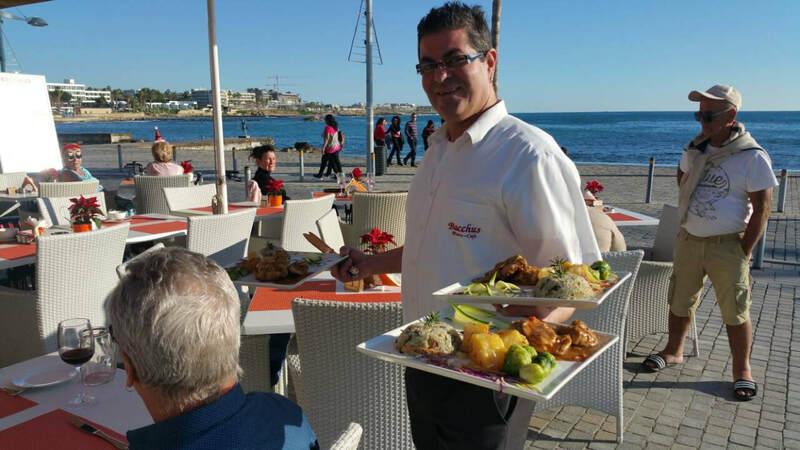 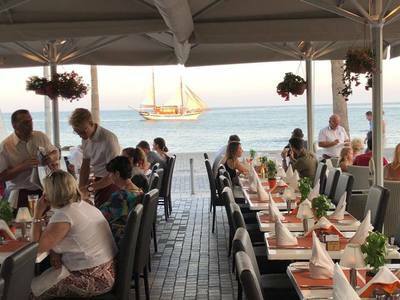 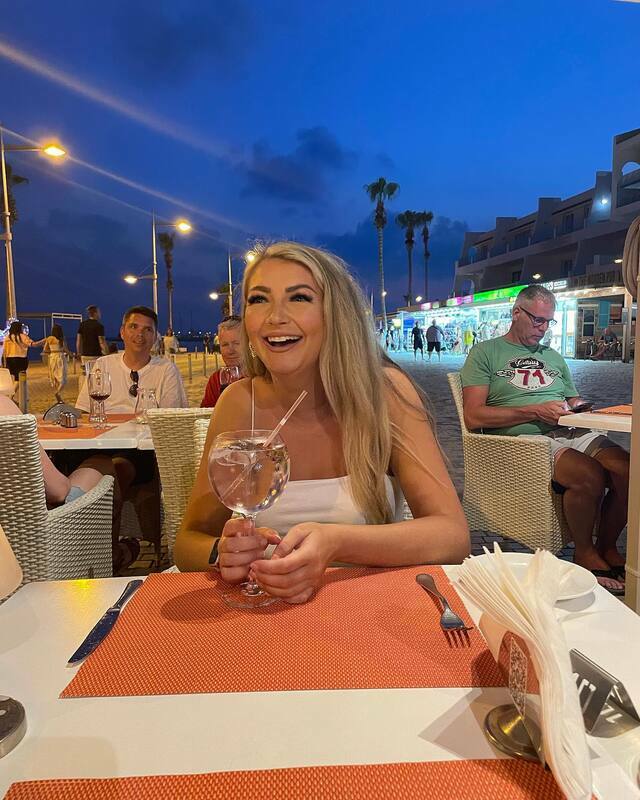 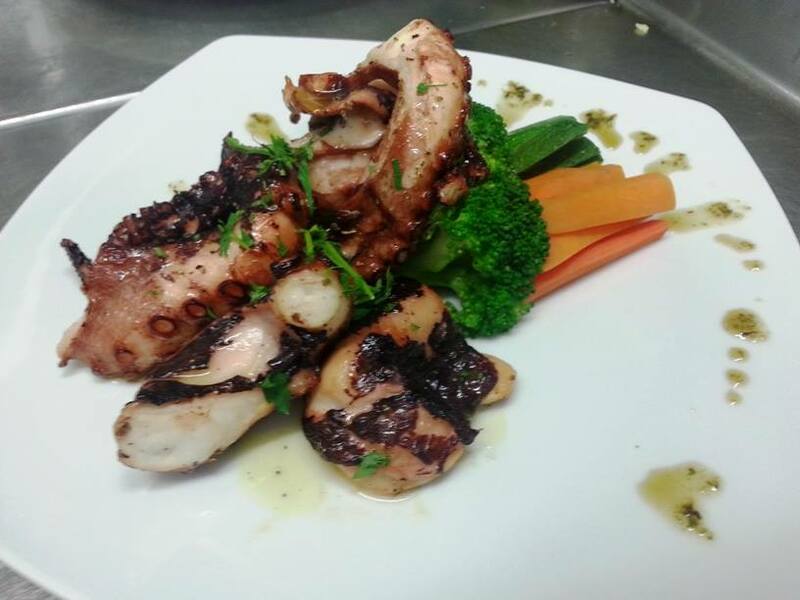 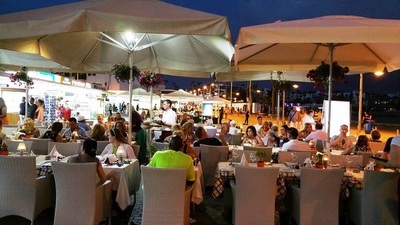 Located in front of one of the most beautiful Mediterranean coasts and with the view of the Mediaeval Paphos Castle we offering a great selection of local and international dishes. 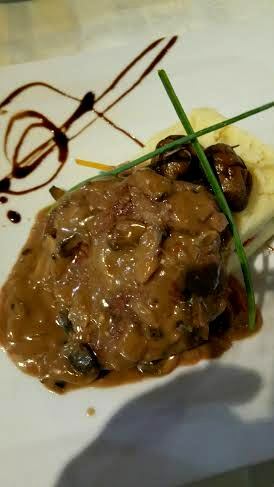 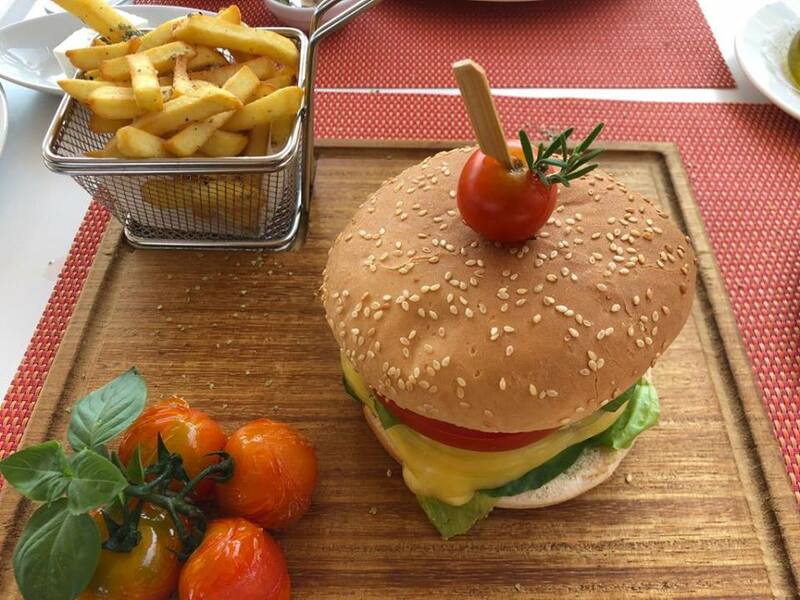 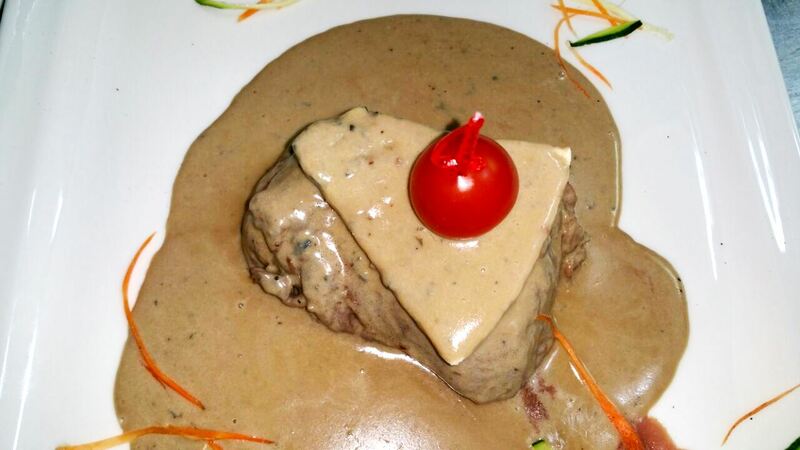 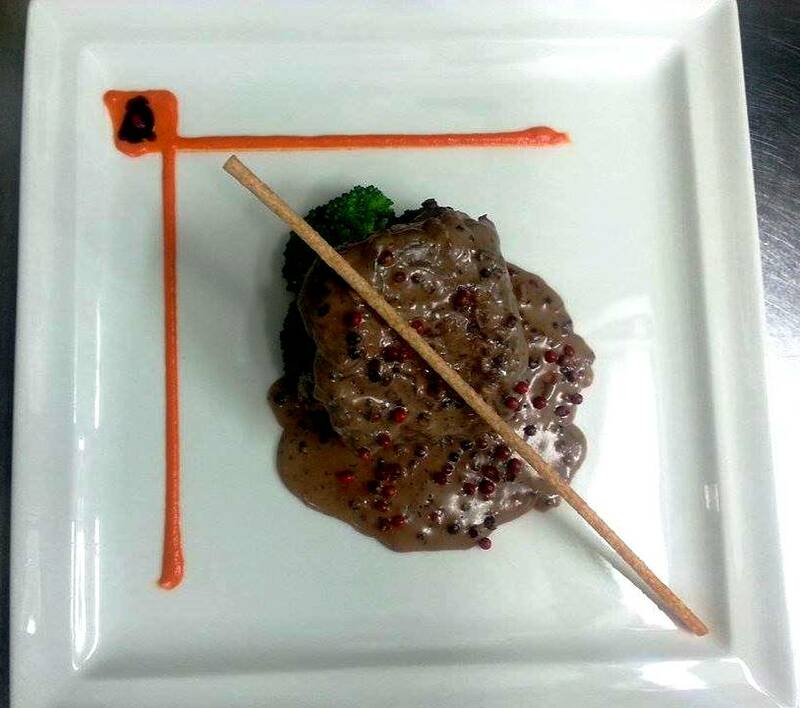 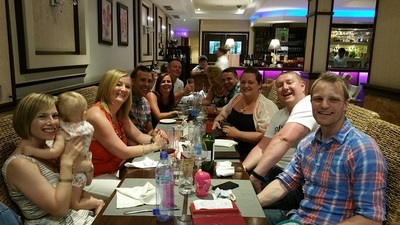 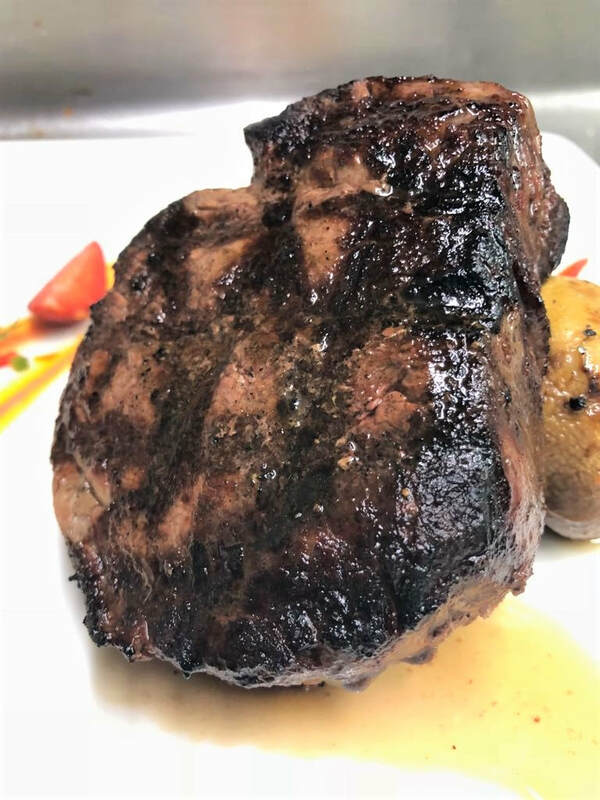 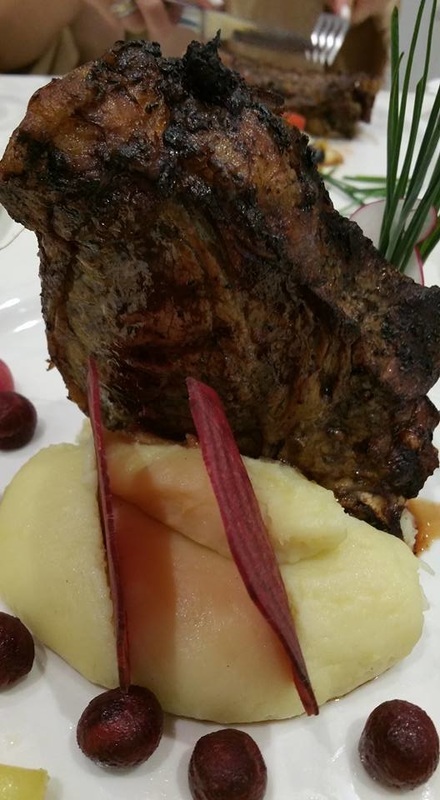 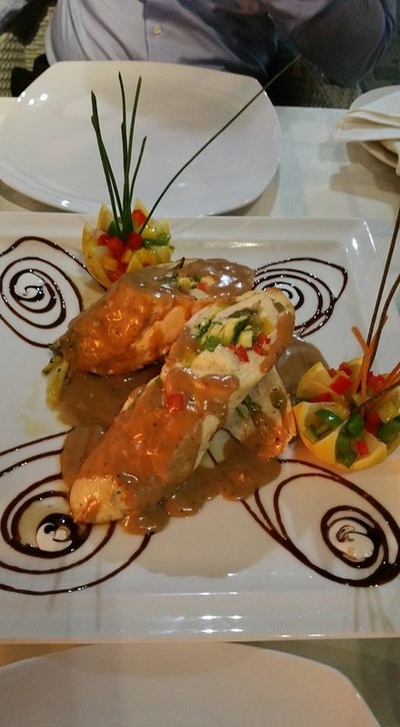 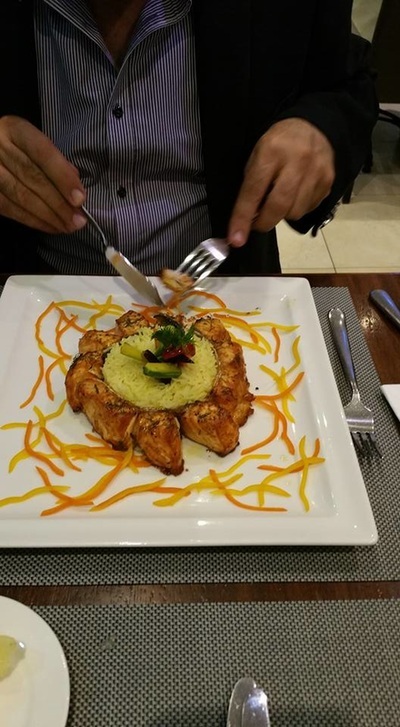 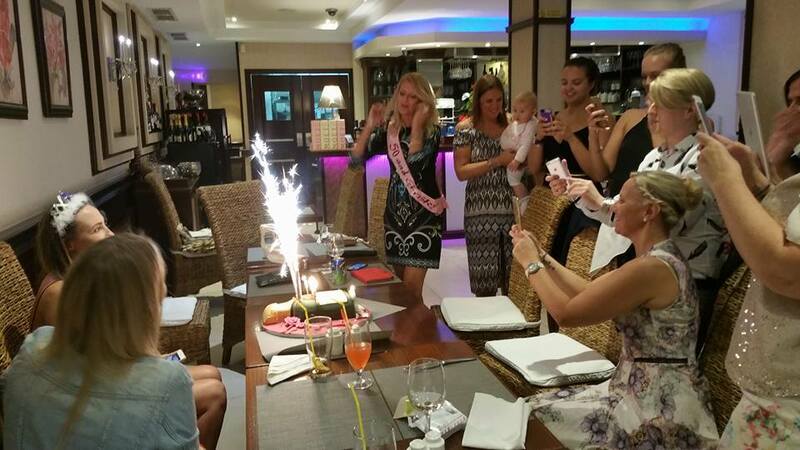 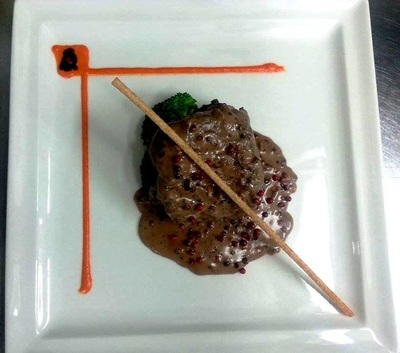 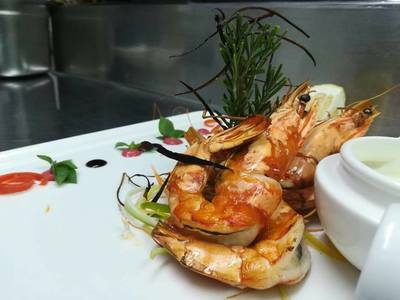 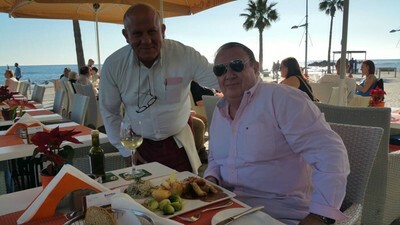 Our friendly customer service and our excellent chefs are looking to create for you an exceptional dining experience. 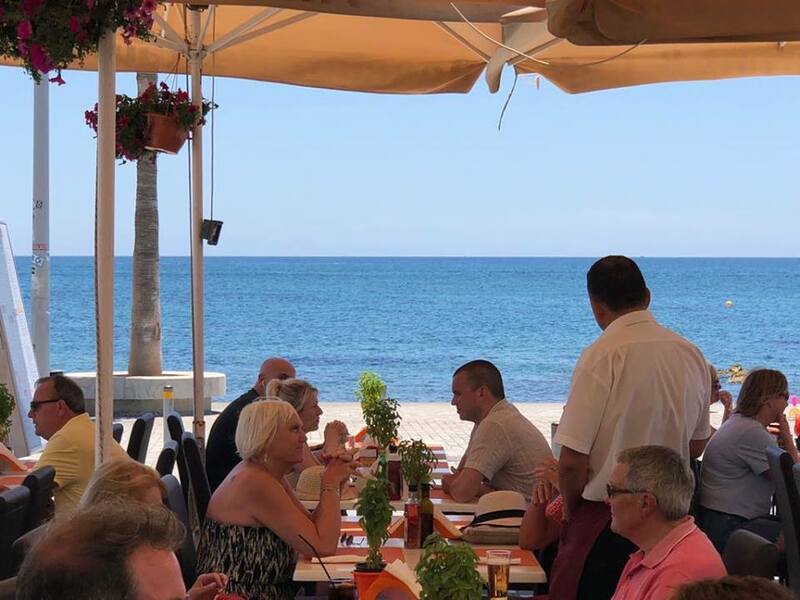 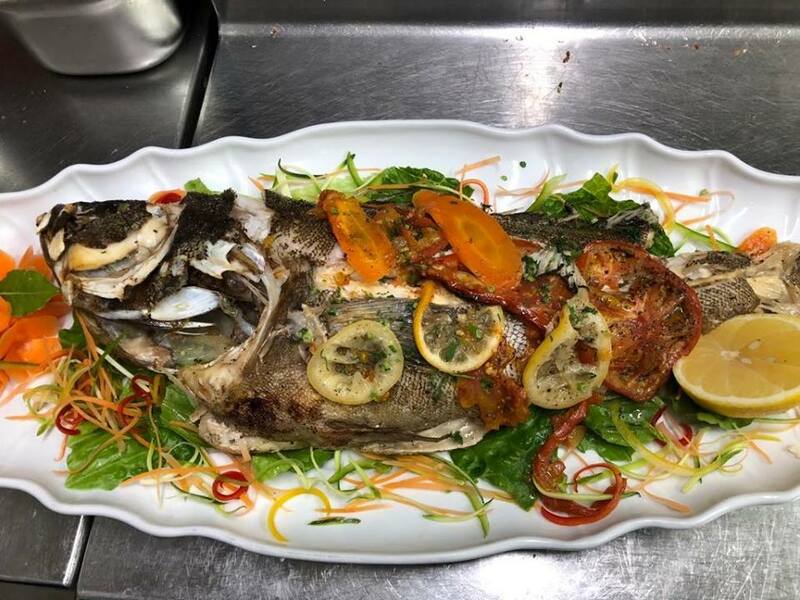 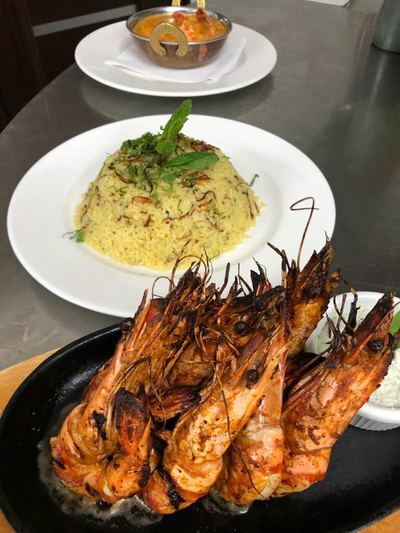 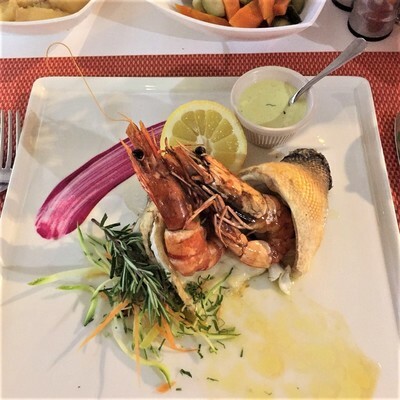 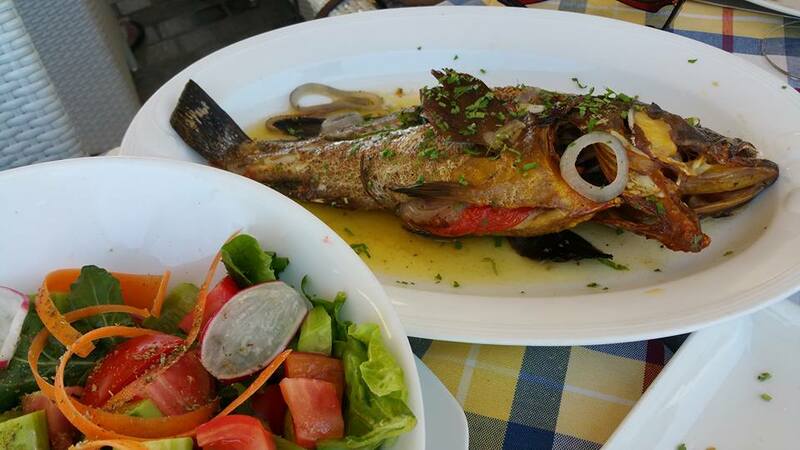 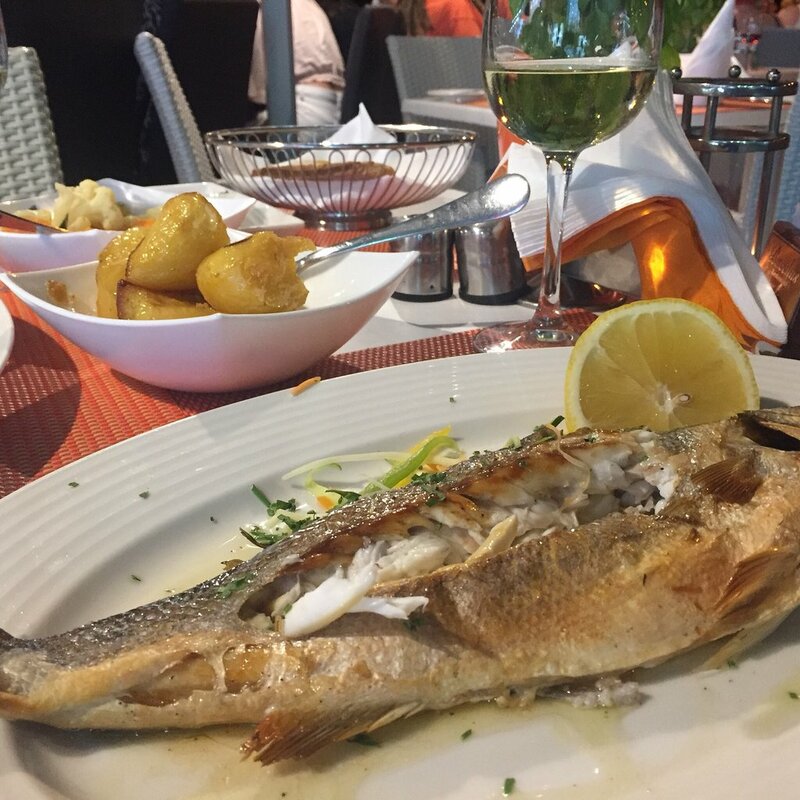 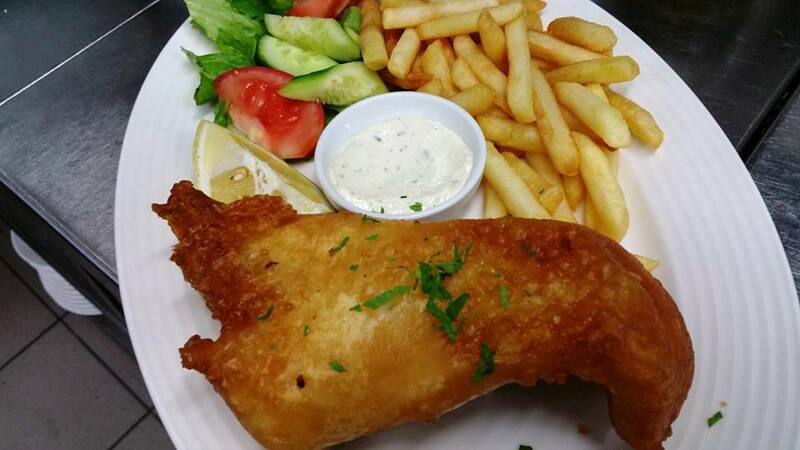 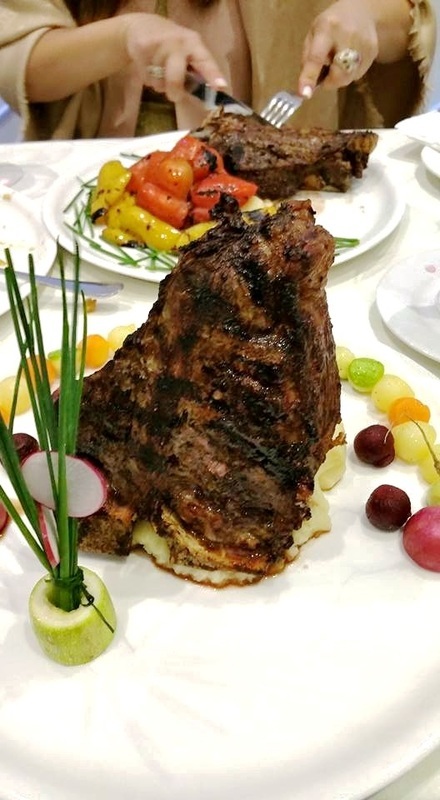 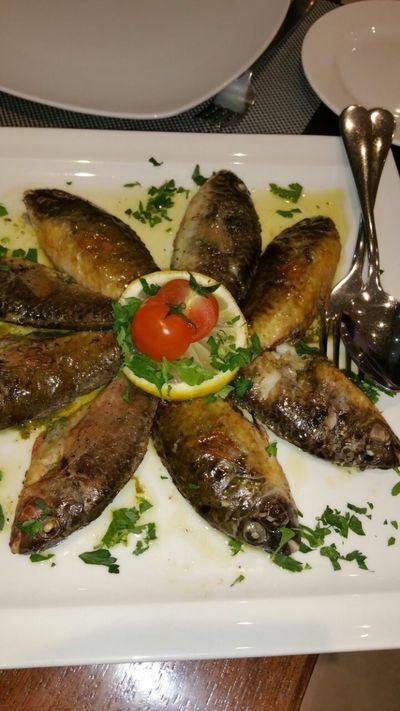 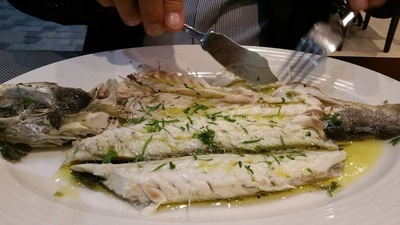 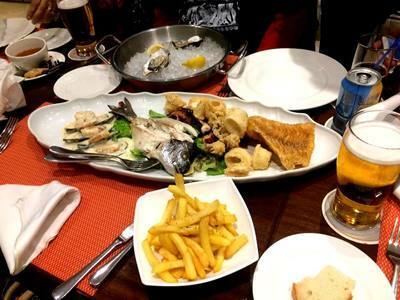 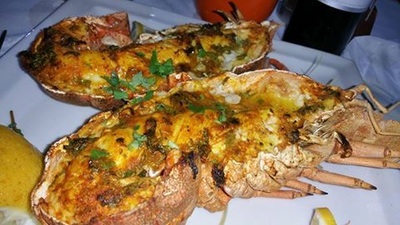 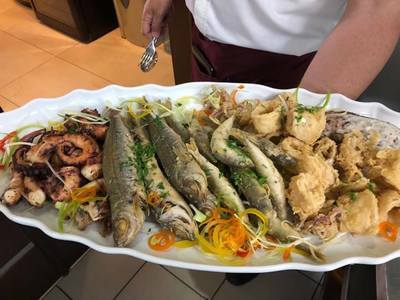 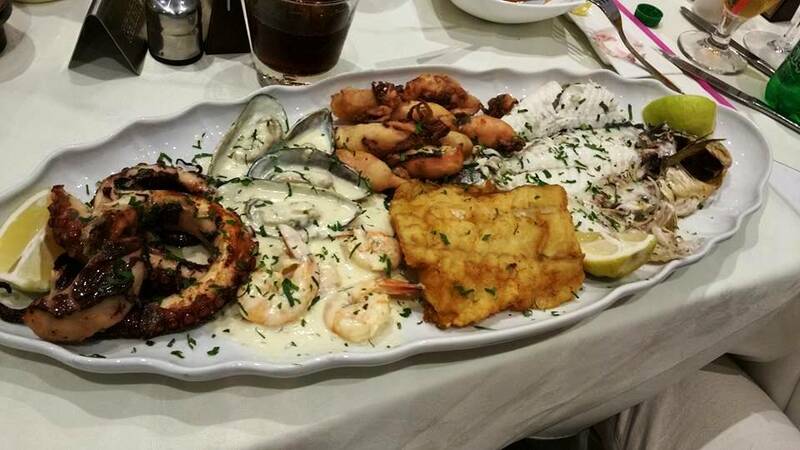 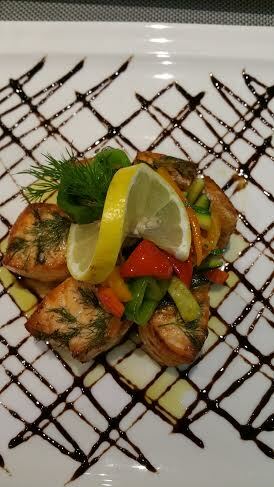 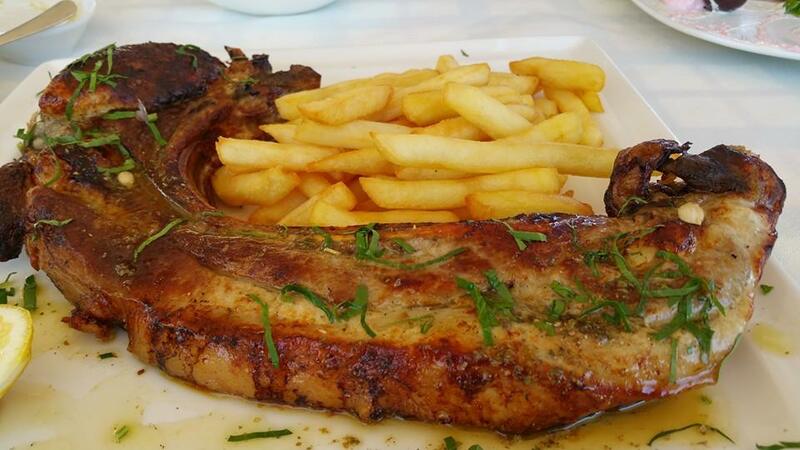 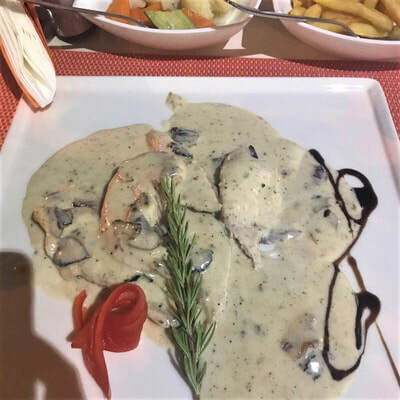 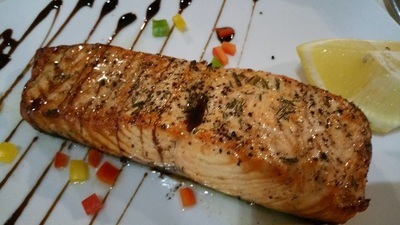 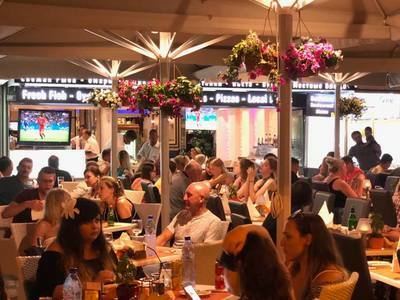 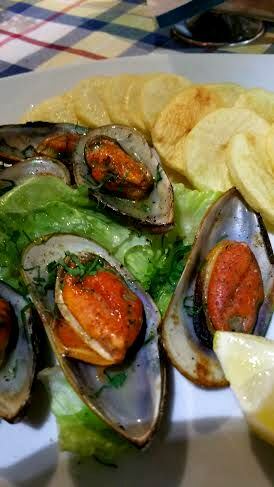 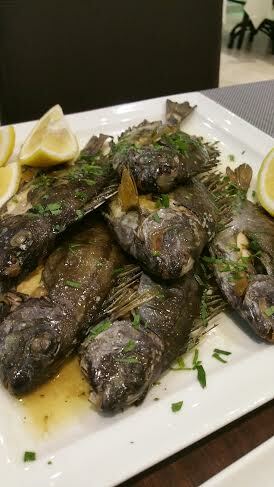 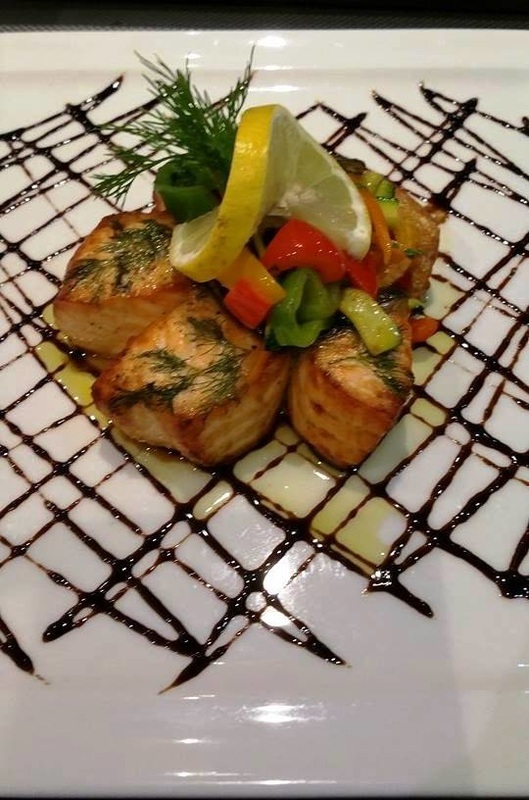 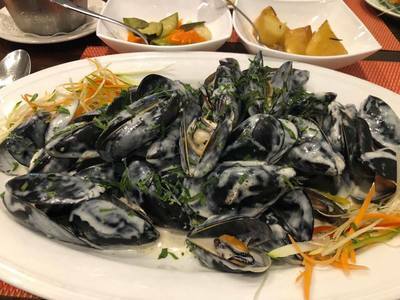 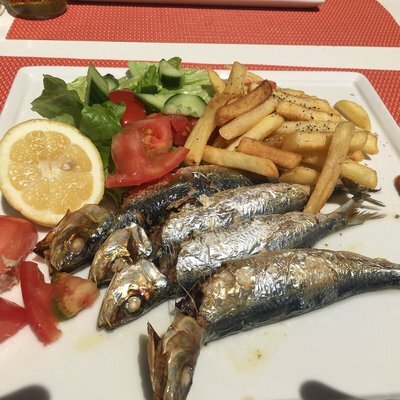 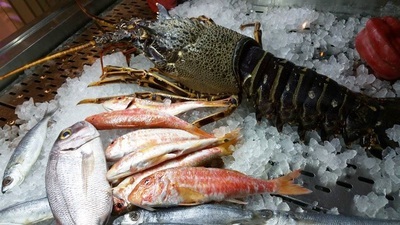 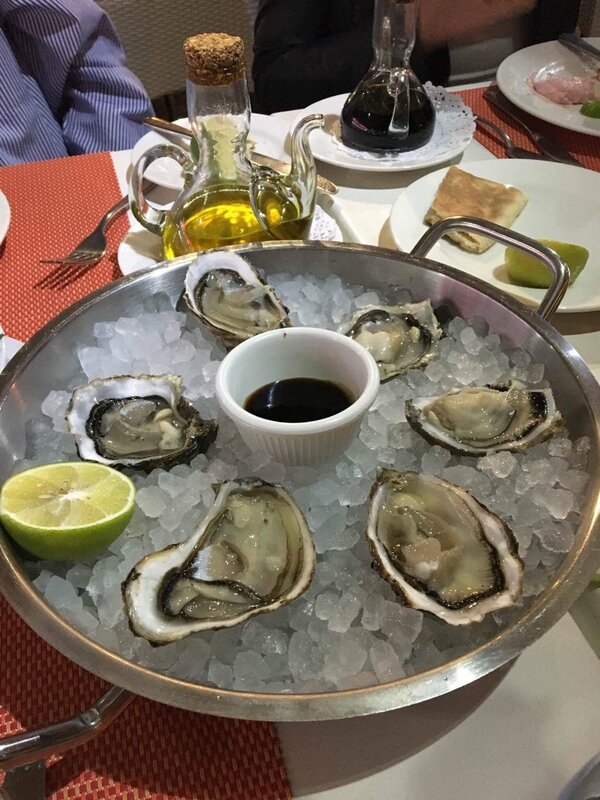 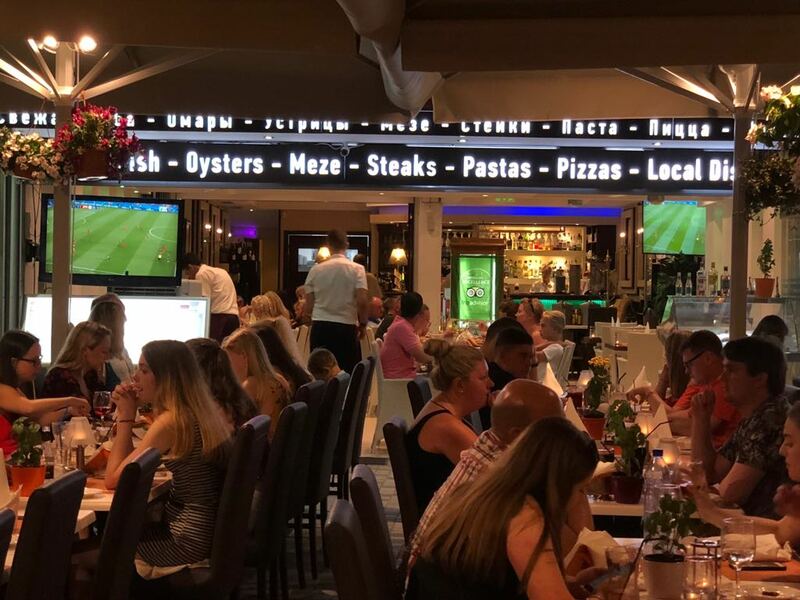 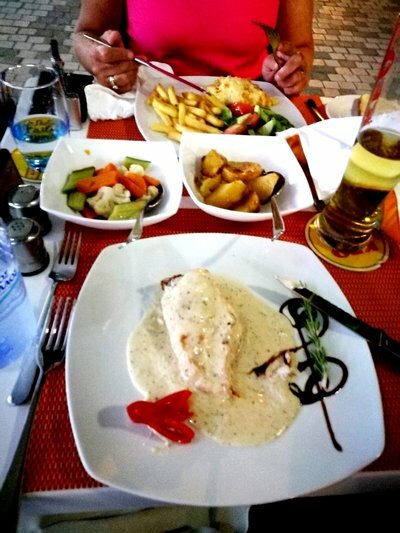 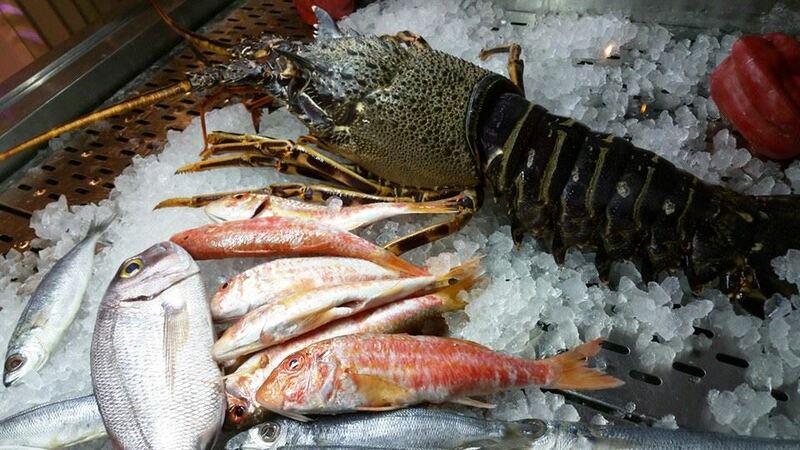 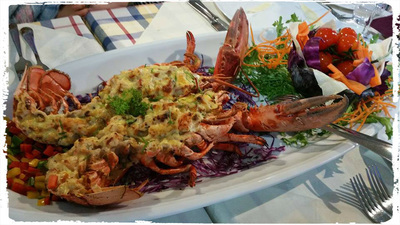 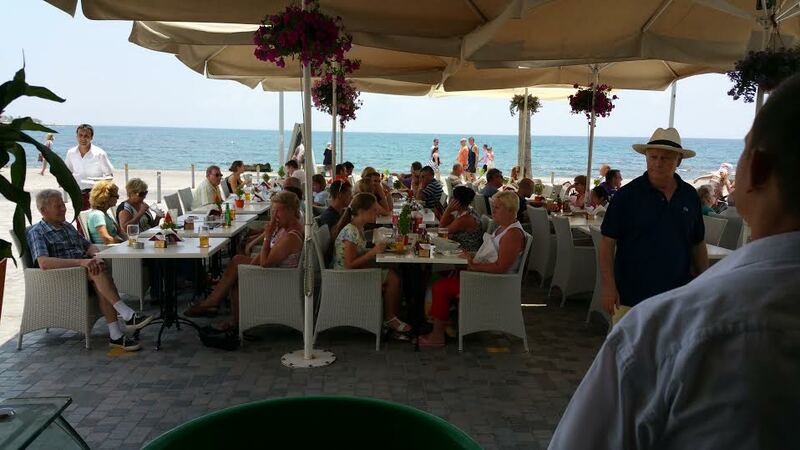 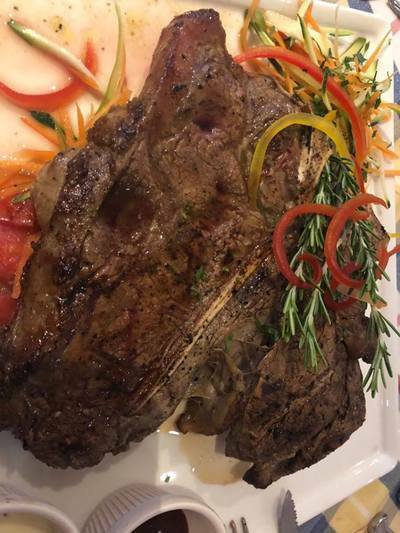 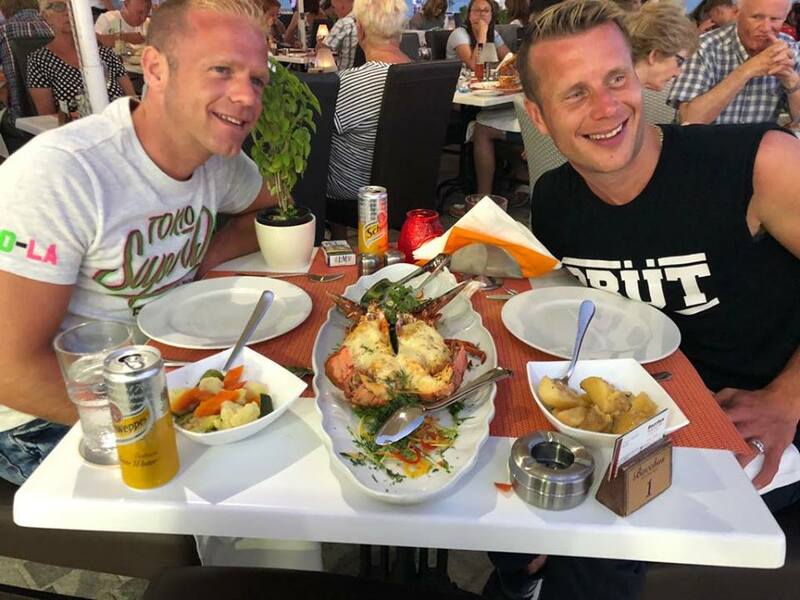 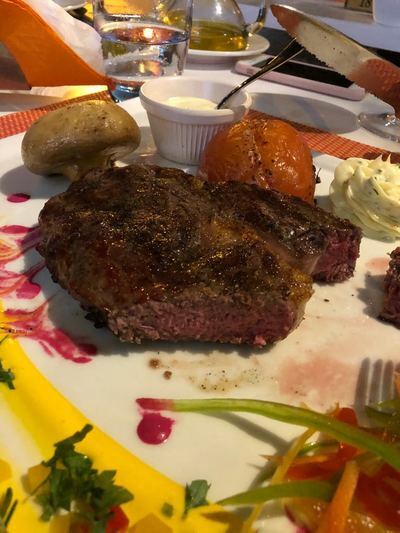 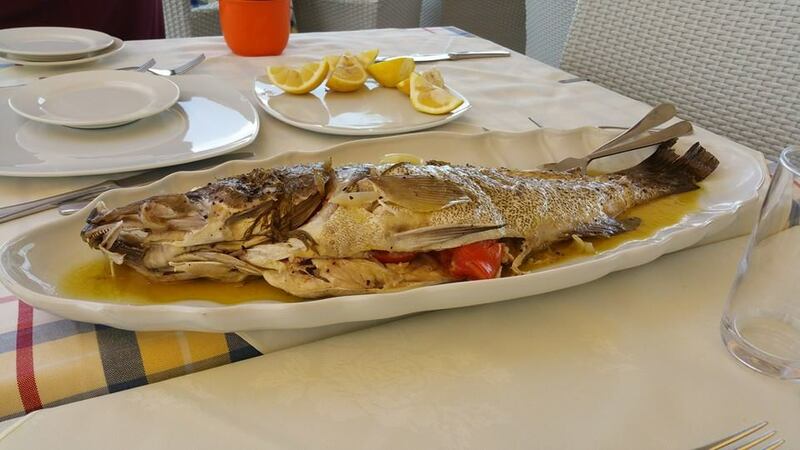 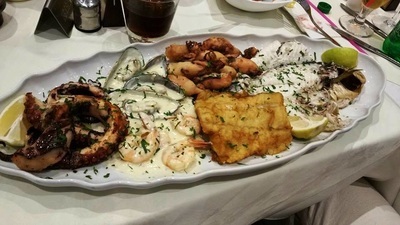 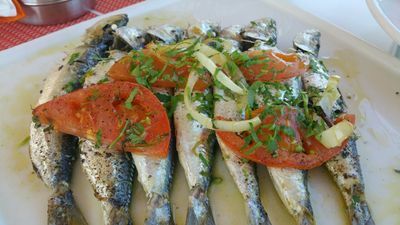 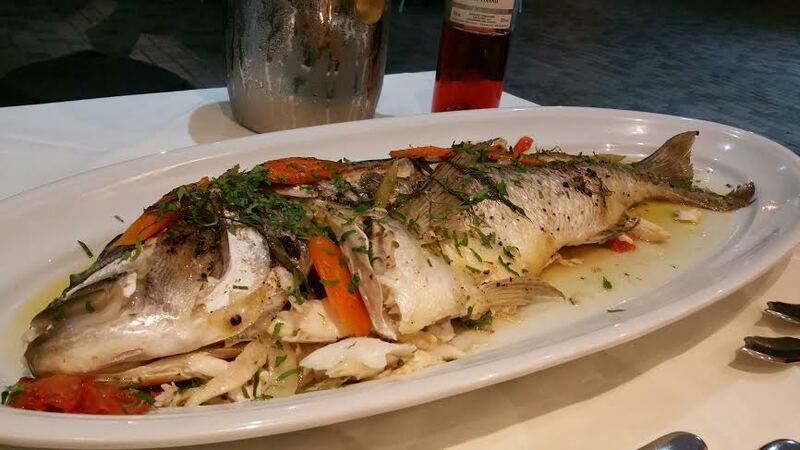 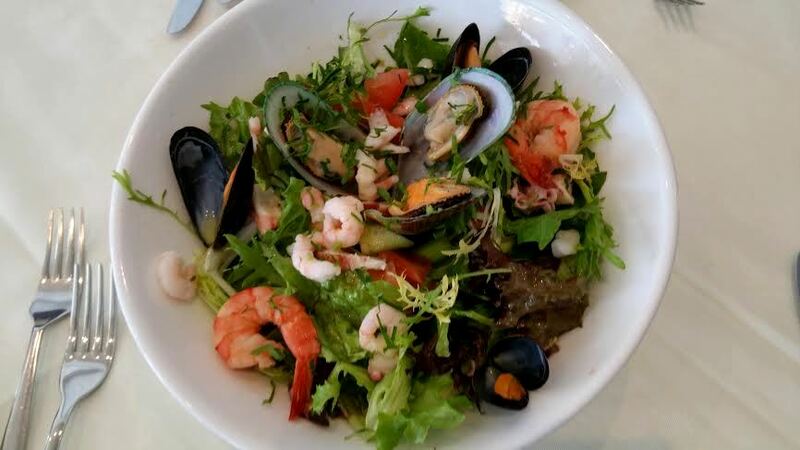 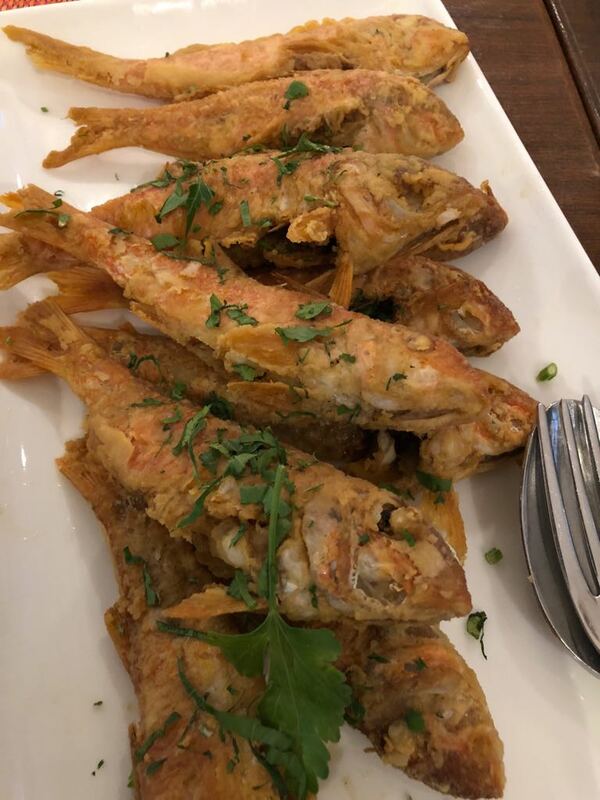 We are serving daily fresh mediterranean fish dishes, traditional Cyprus Specialities, premium quality fresh steaks, fresh oysters and fresh lobsters. 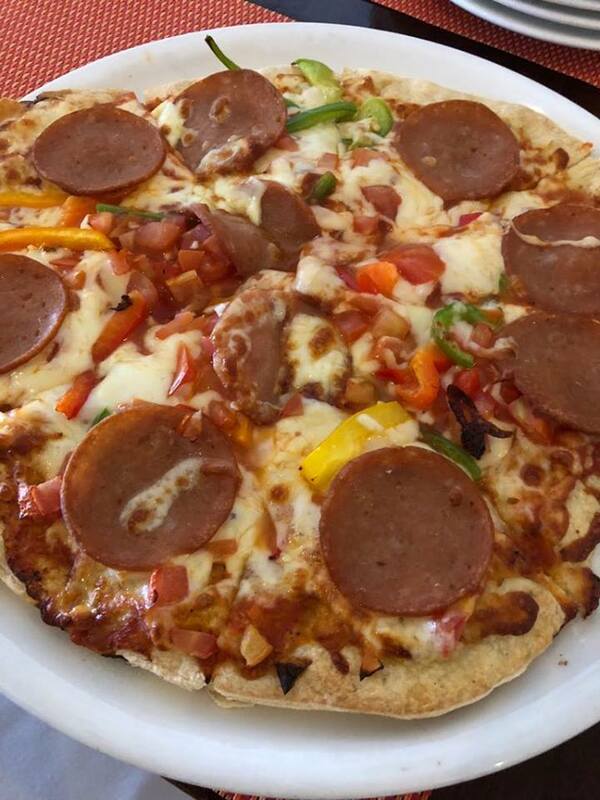 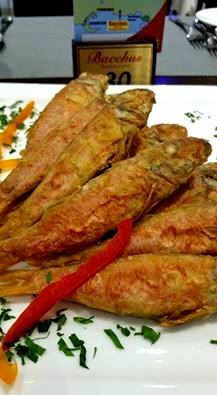 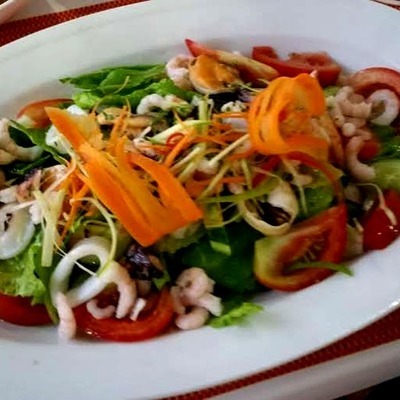 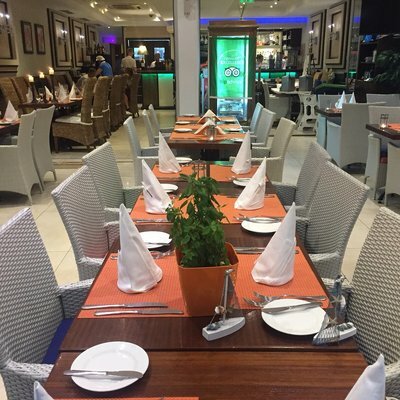 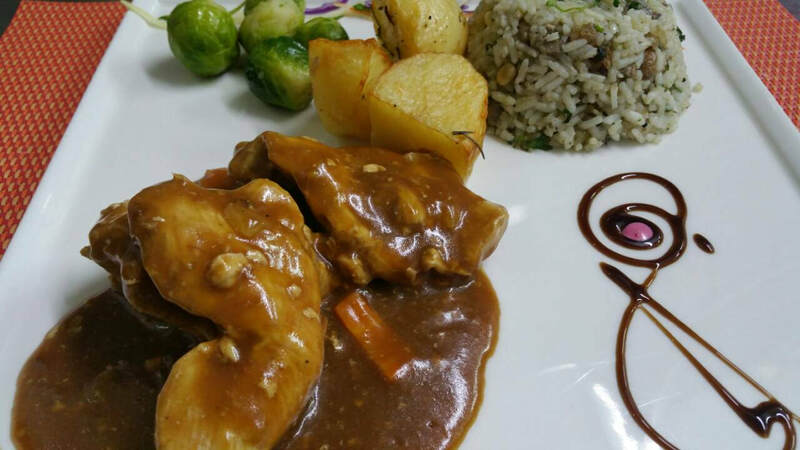 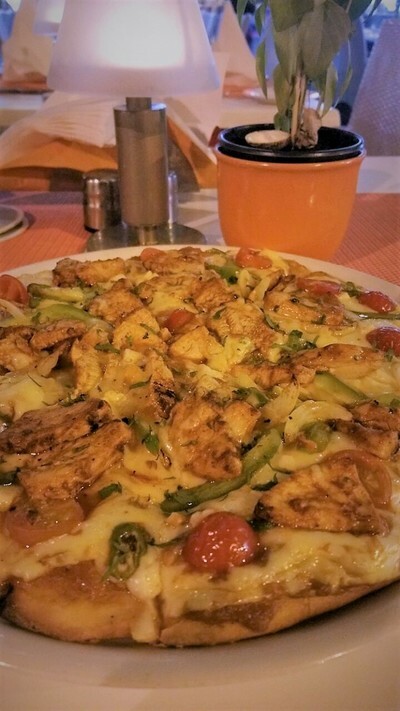 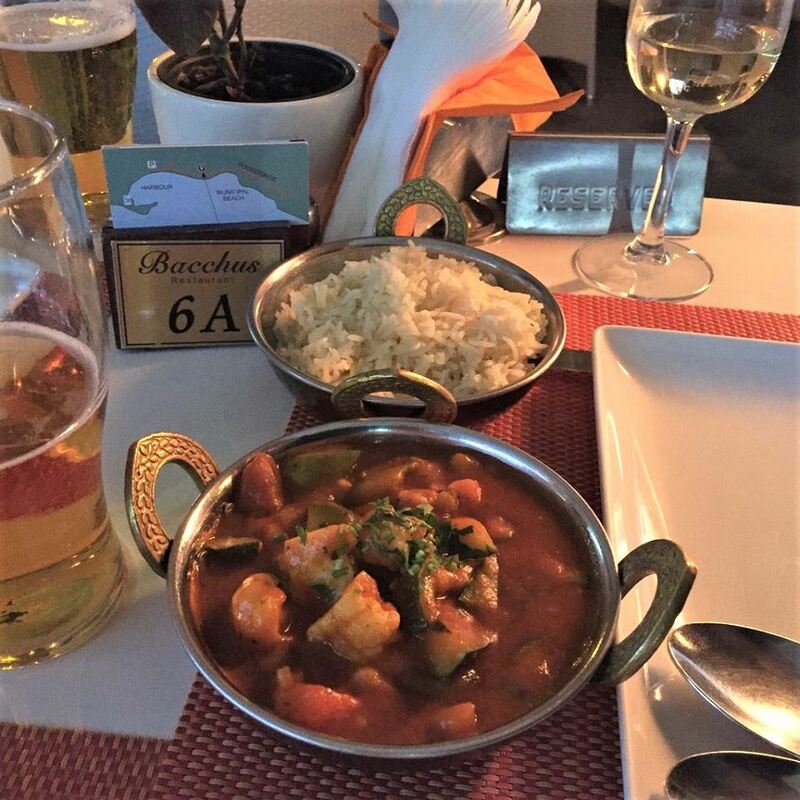 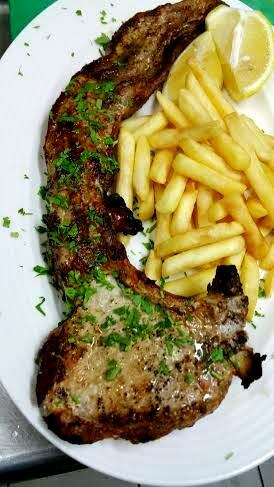 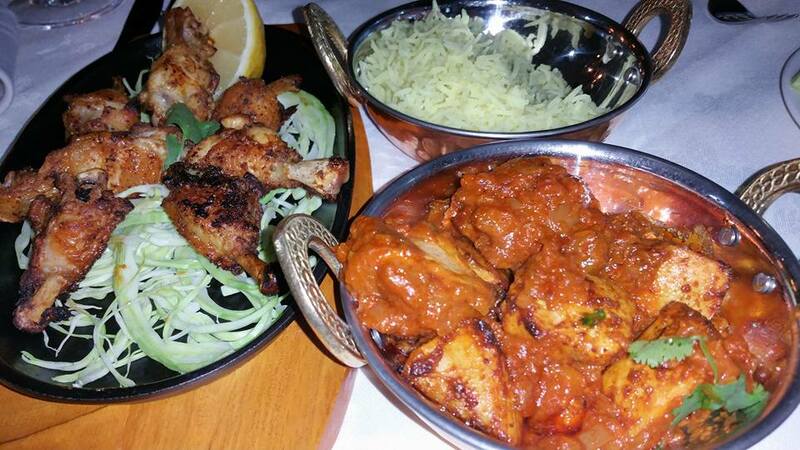 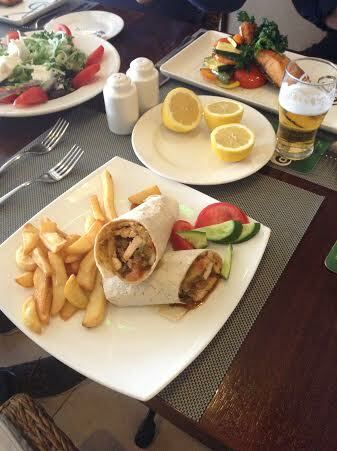 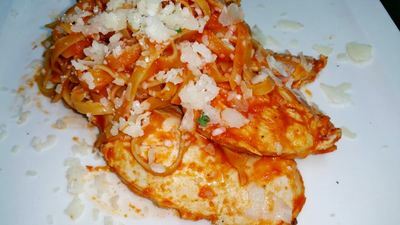 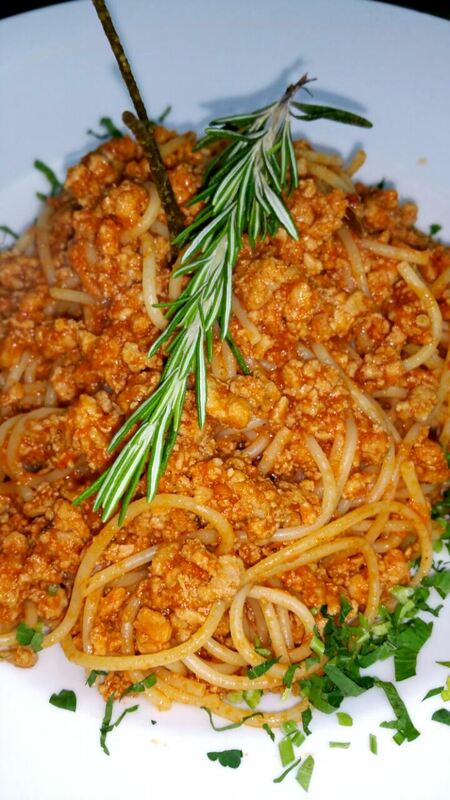 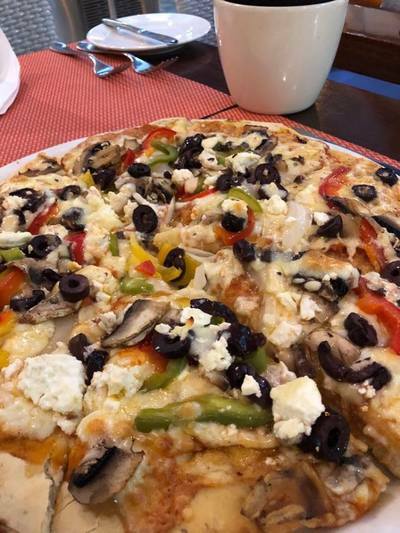 We are inviting you to try our Italian Specialities and the delicious selection of Indian and International dishes. 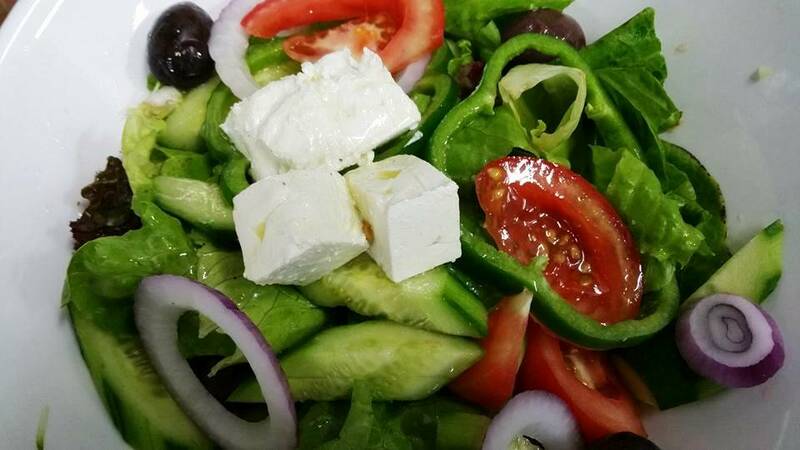 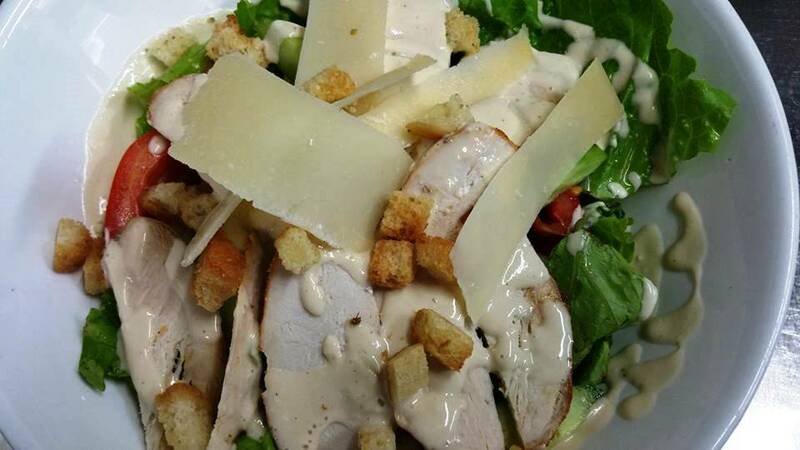 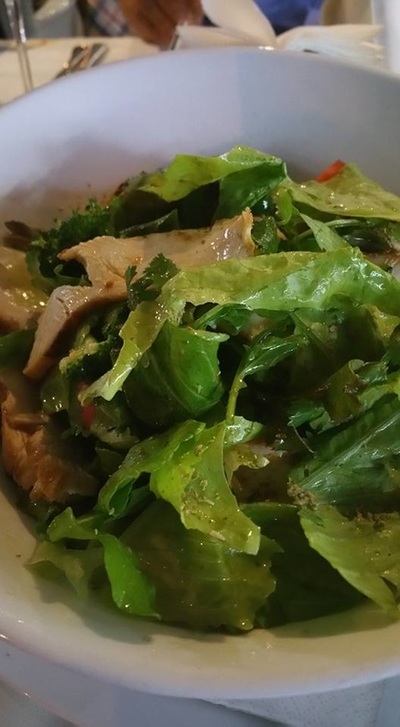 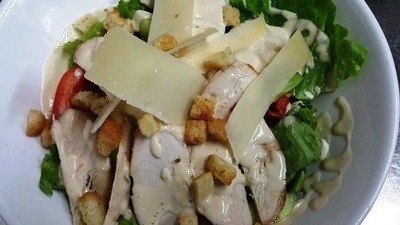 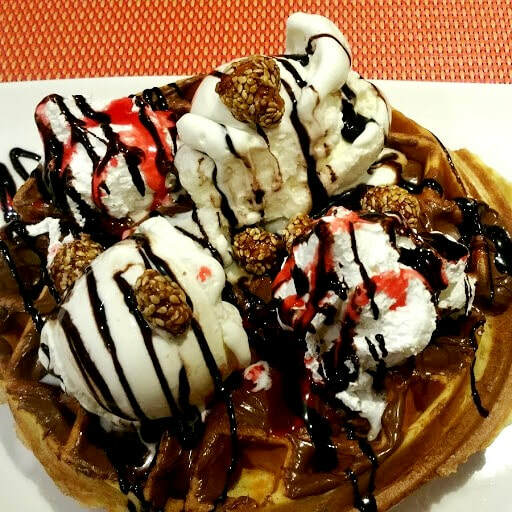 We are using always fresh natural ingredients. 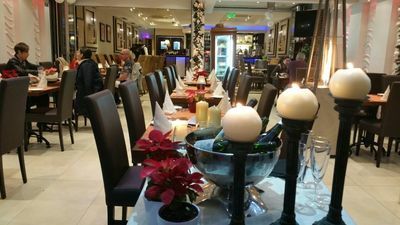 We have also a great list of wines. 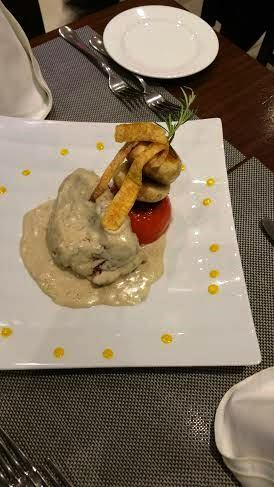 Our guests are excited with our desserts especially our homemade tiramisu. 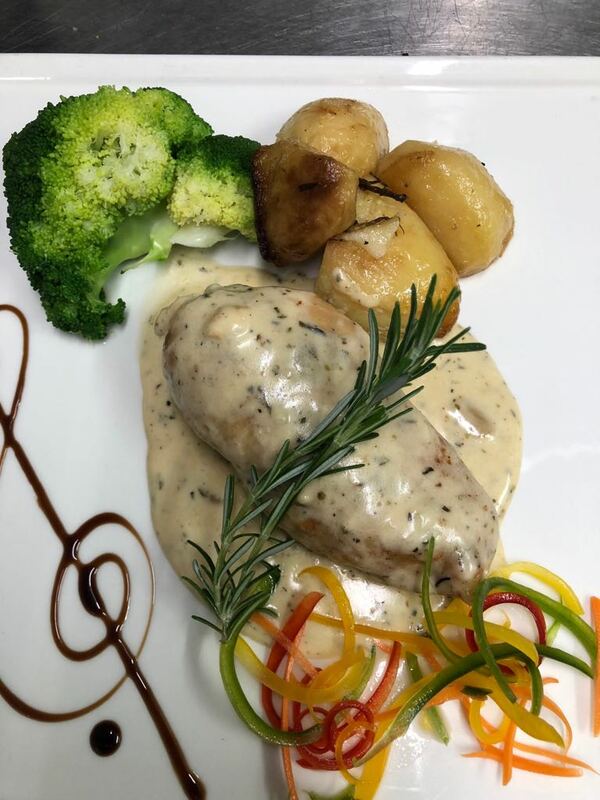 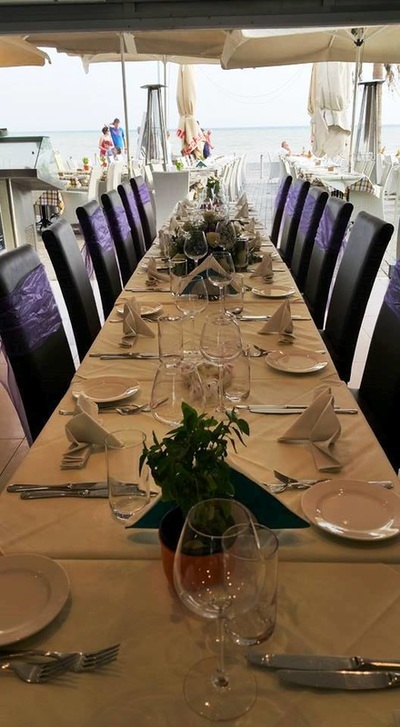 For a Divine Dining Experience pay us a visit!